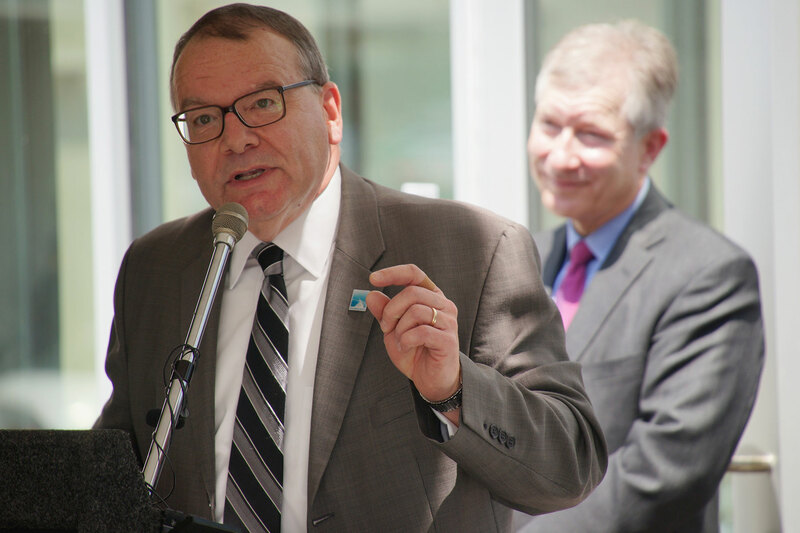 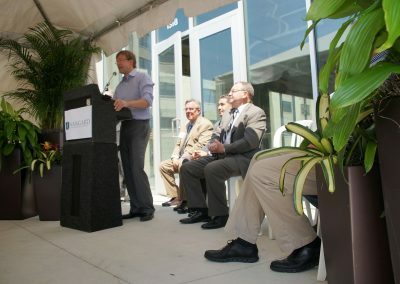 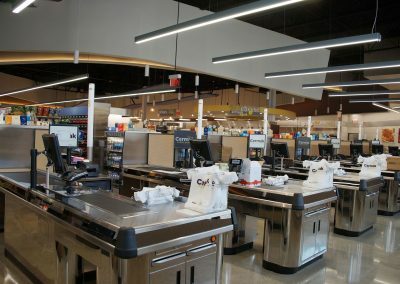 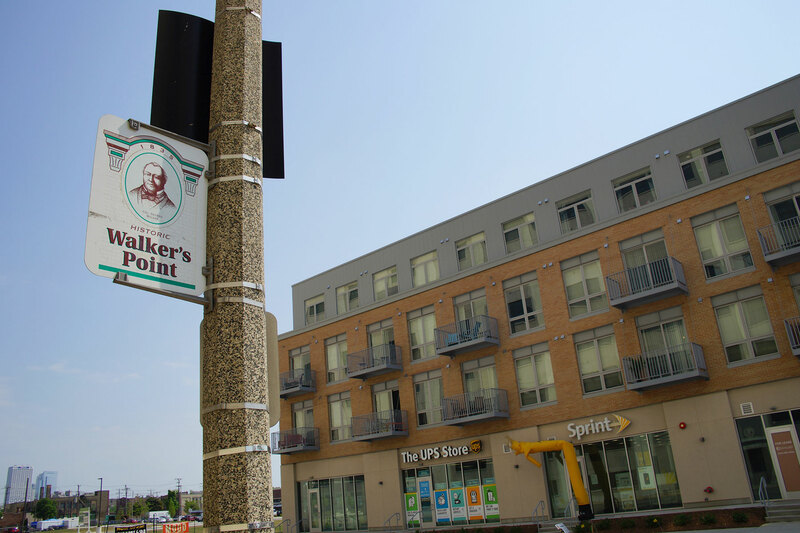 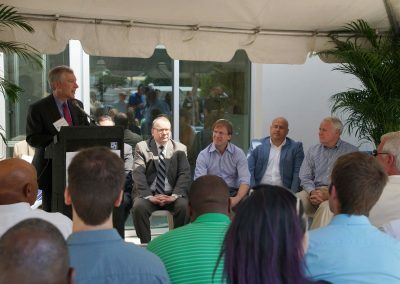 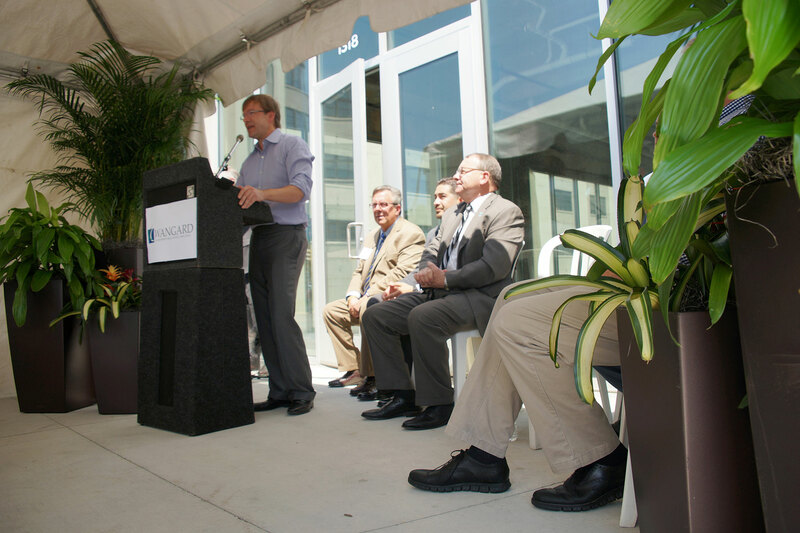 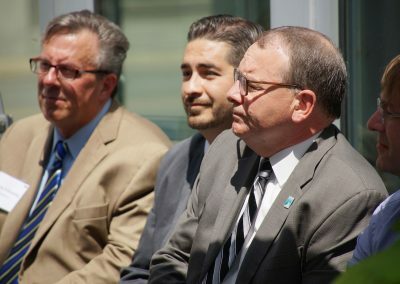 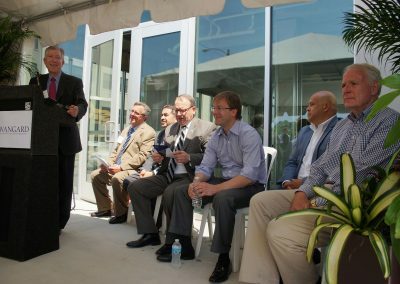 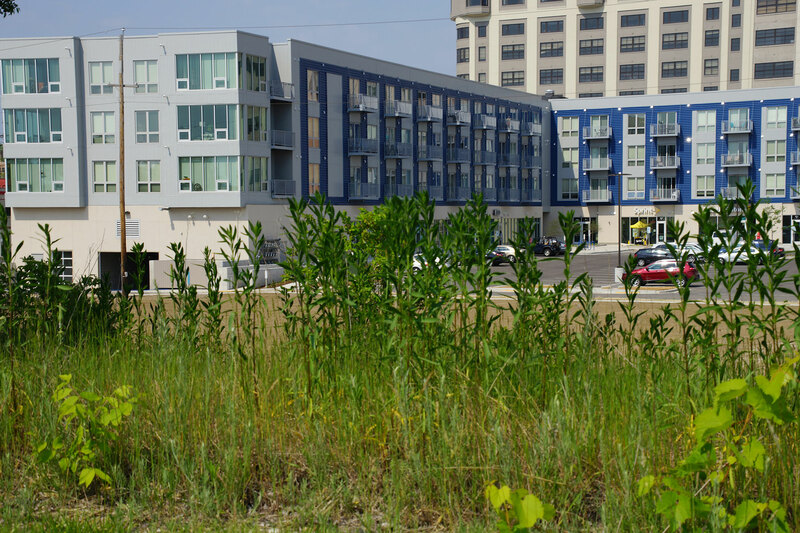 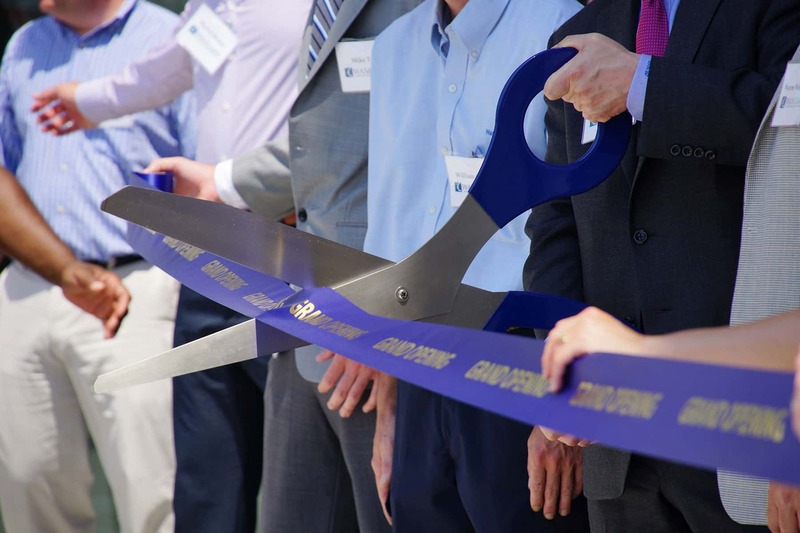 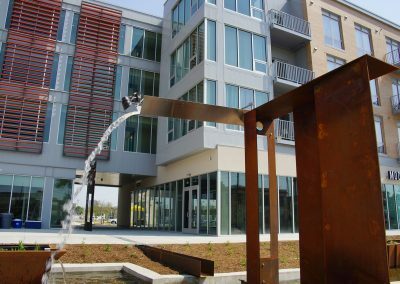 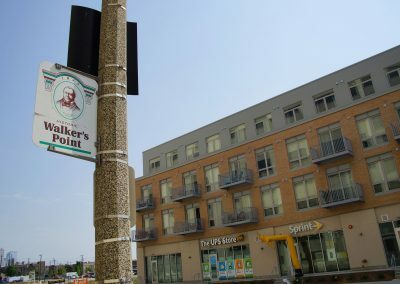 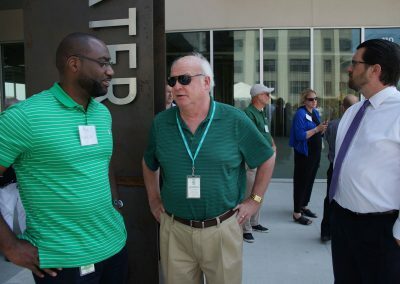 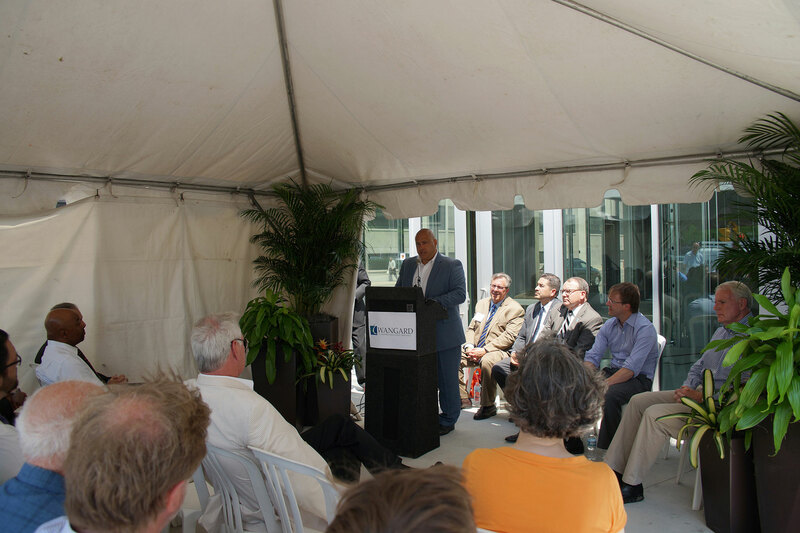 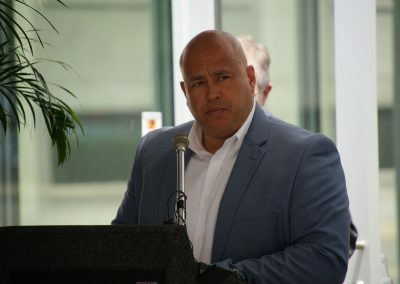 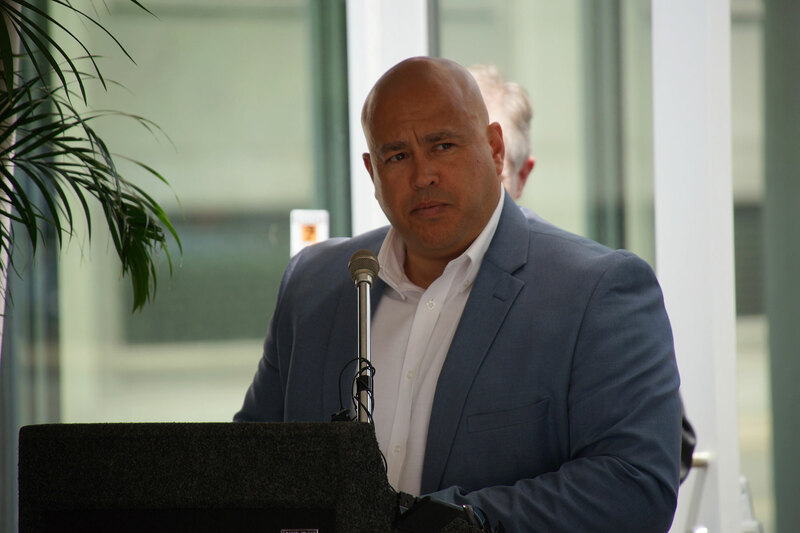 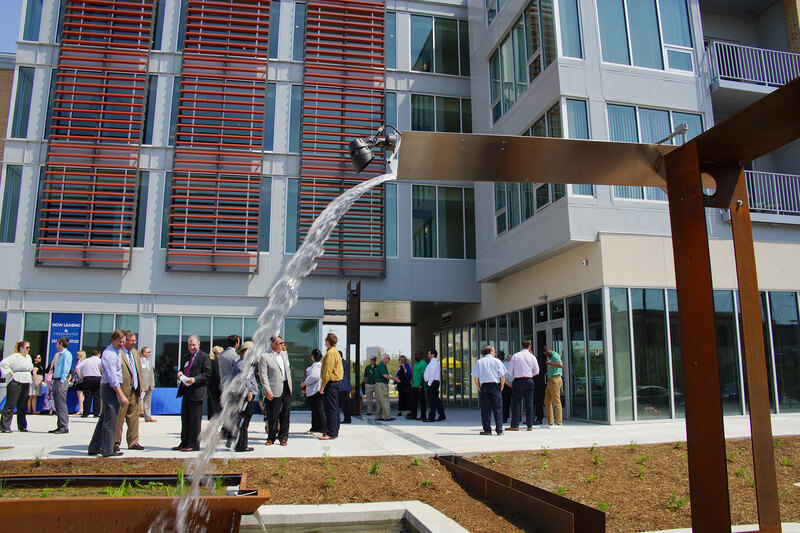 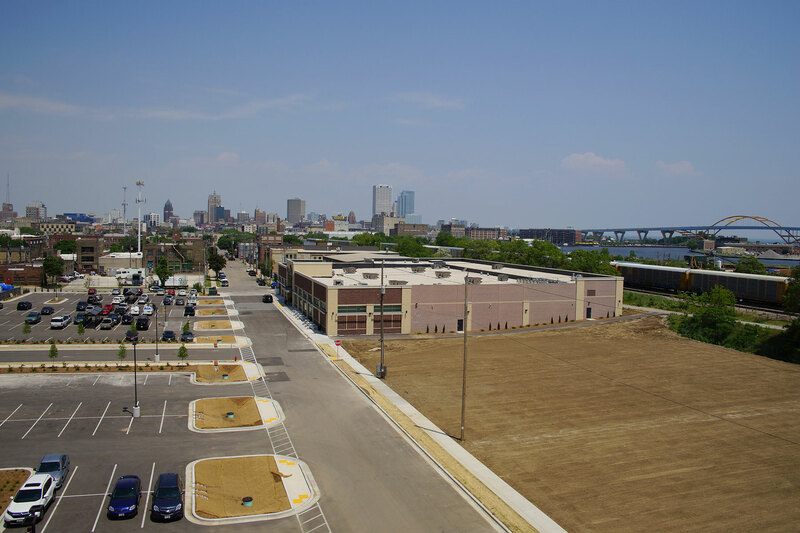 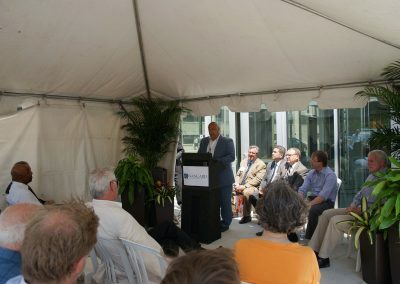 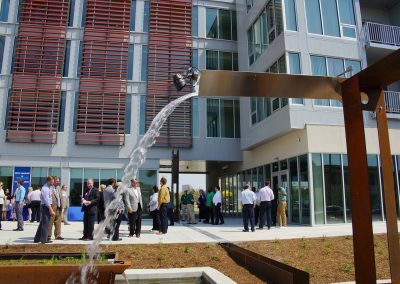 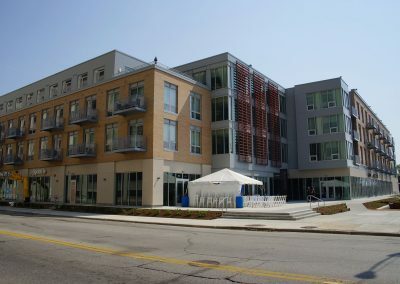 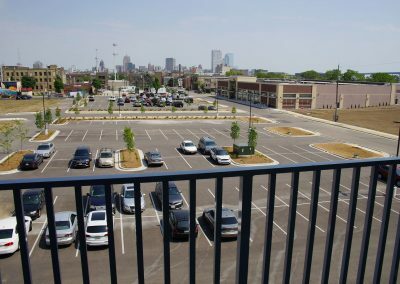 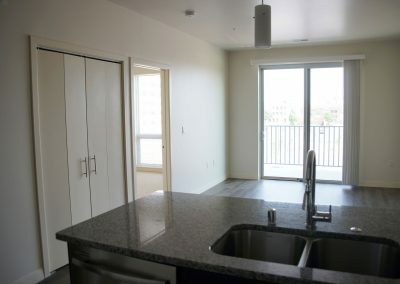 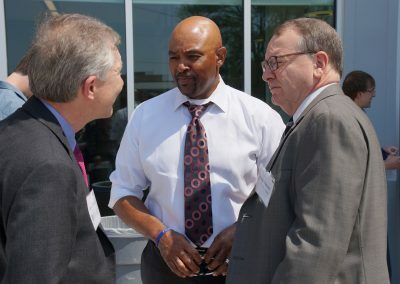 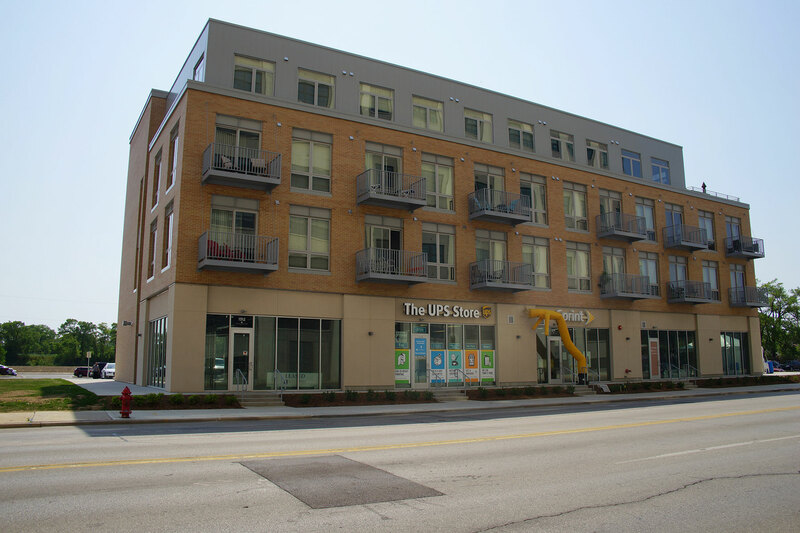 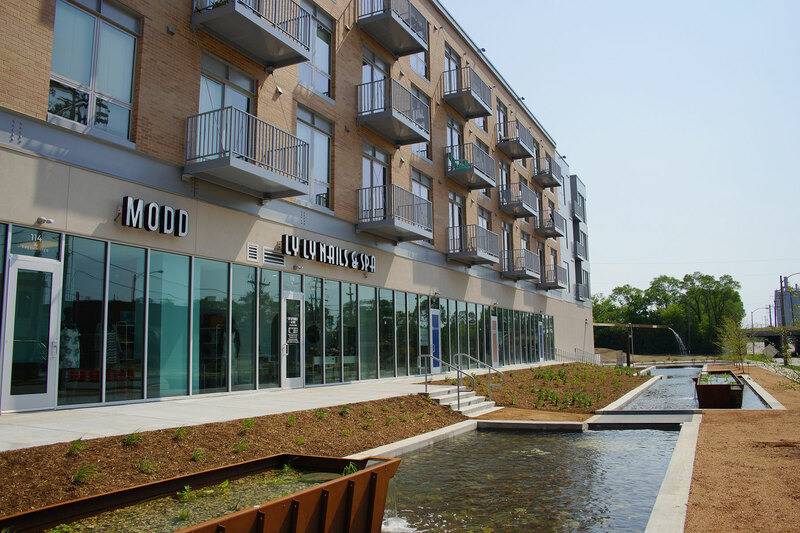 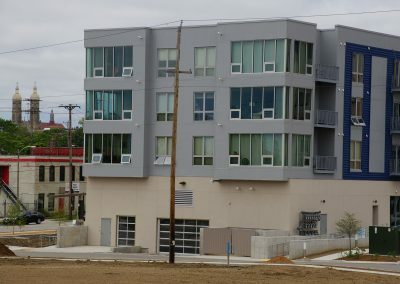 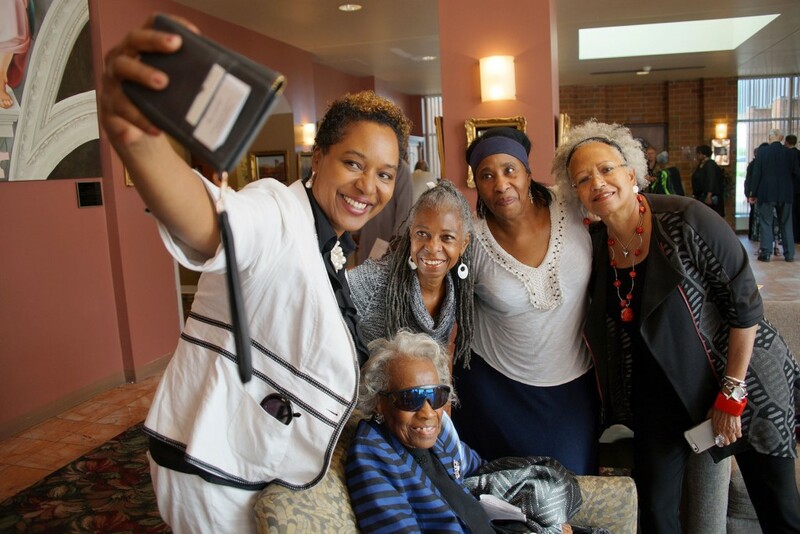 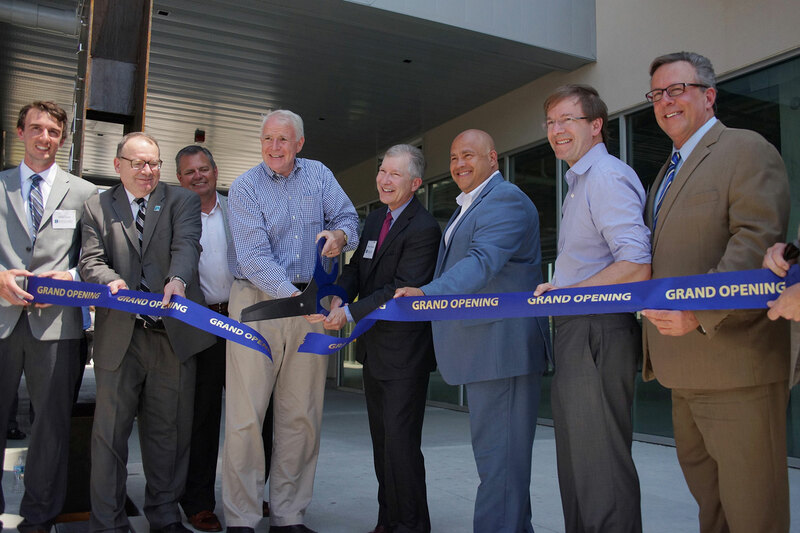 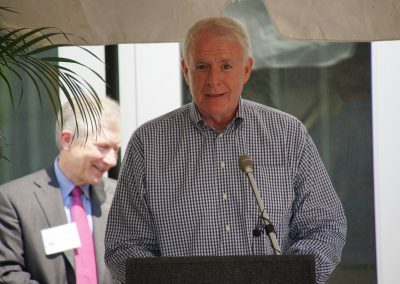 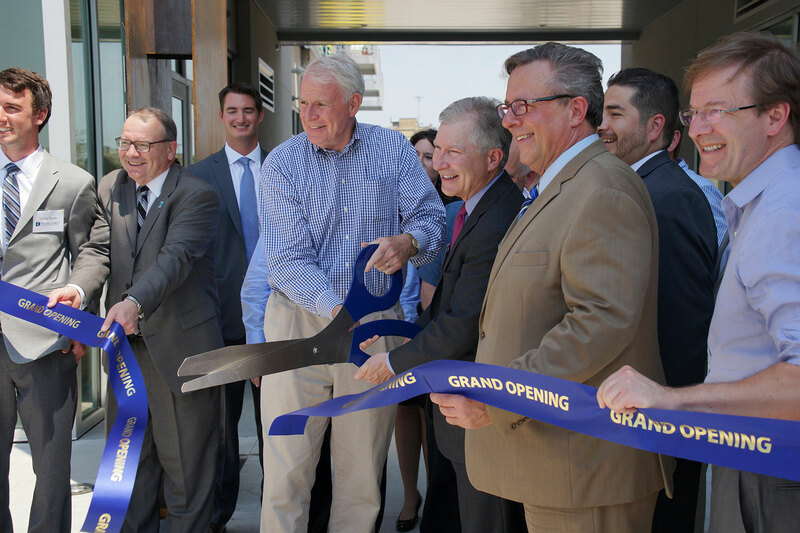 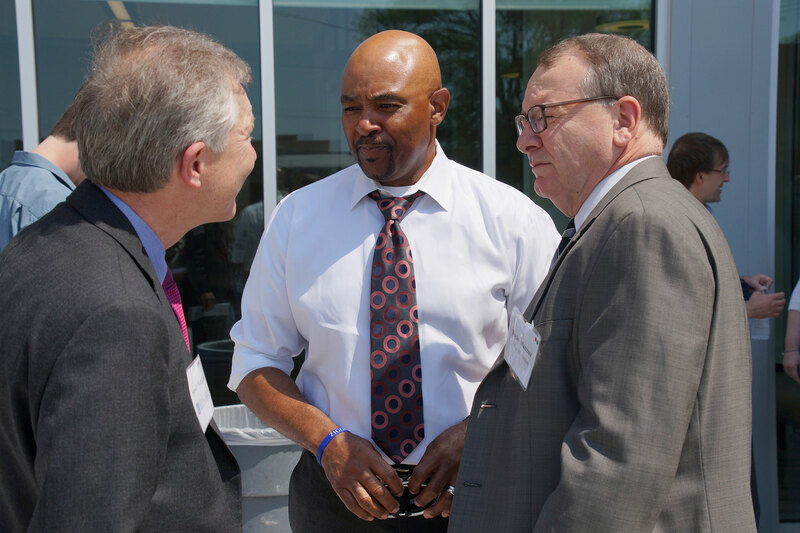 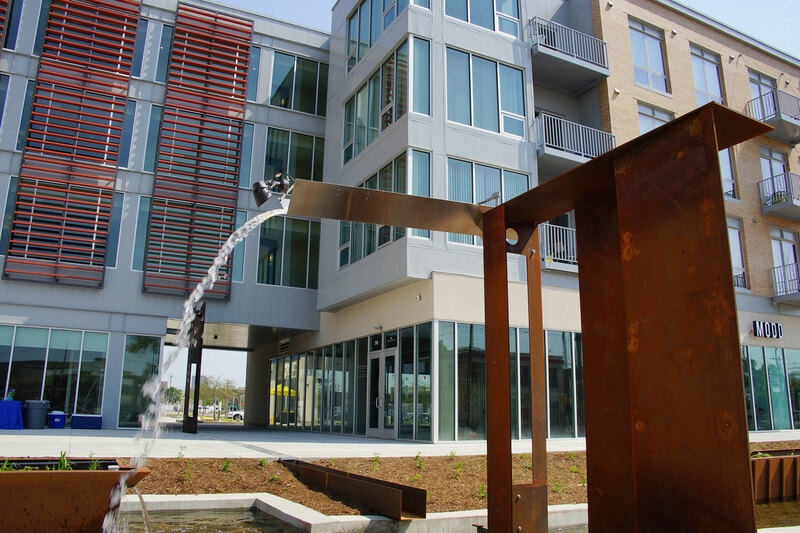 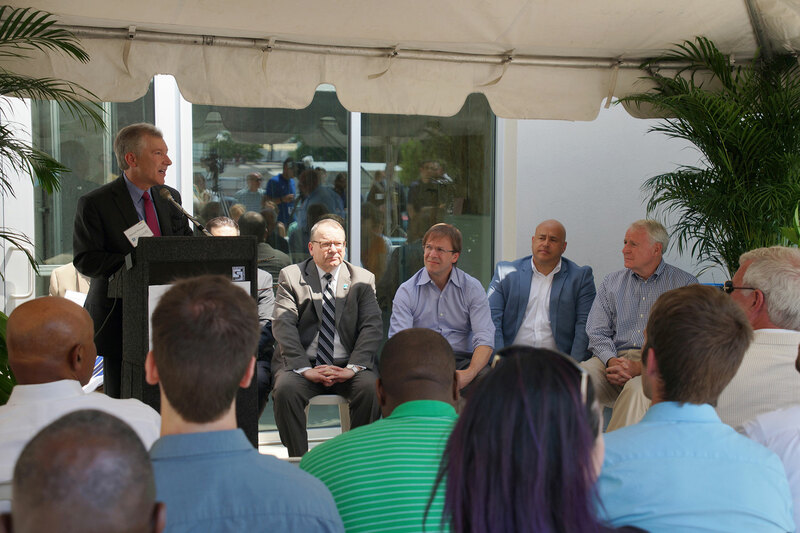 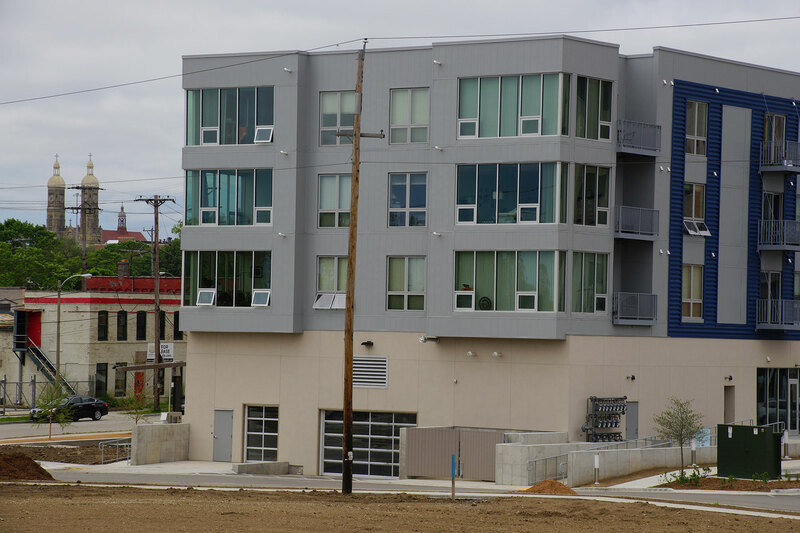 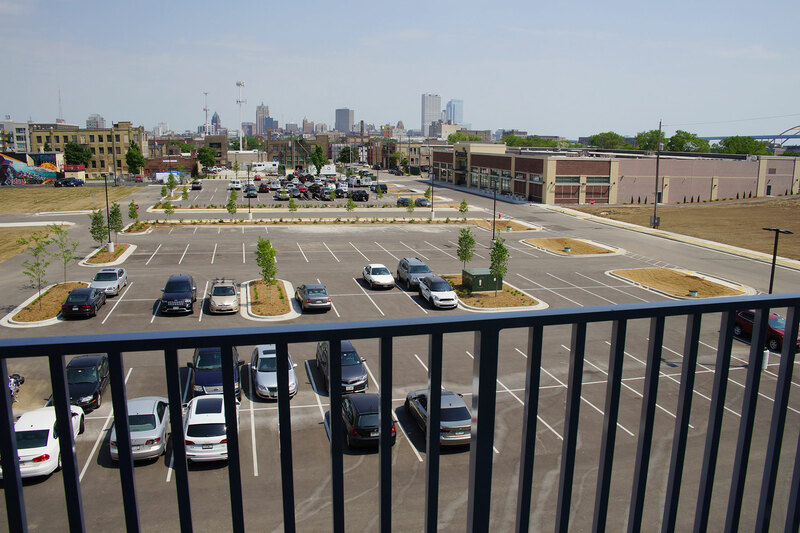 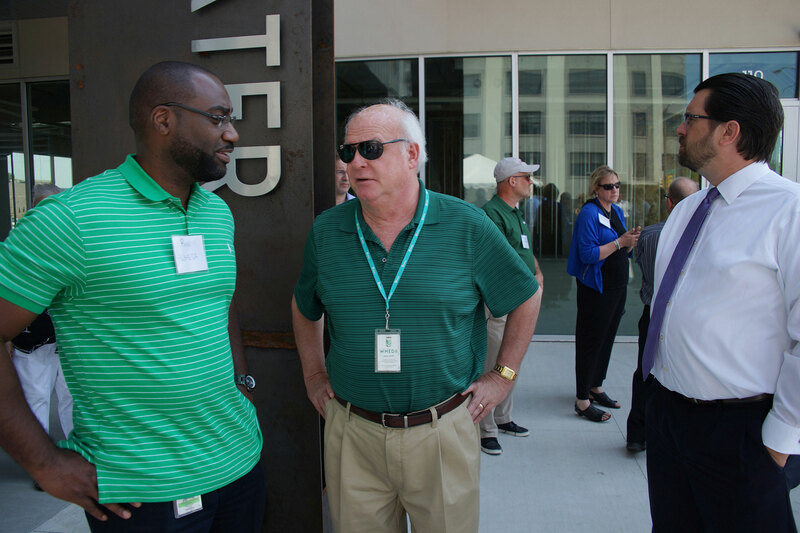 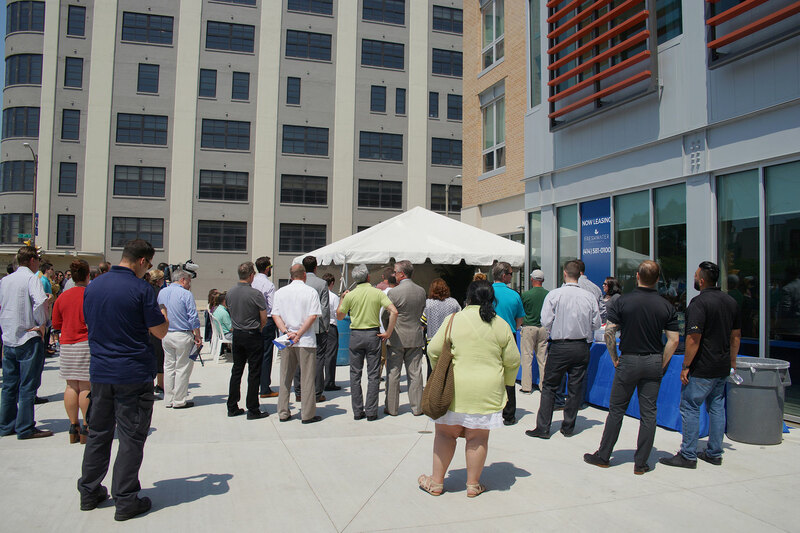 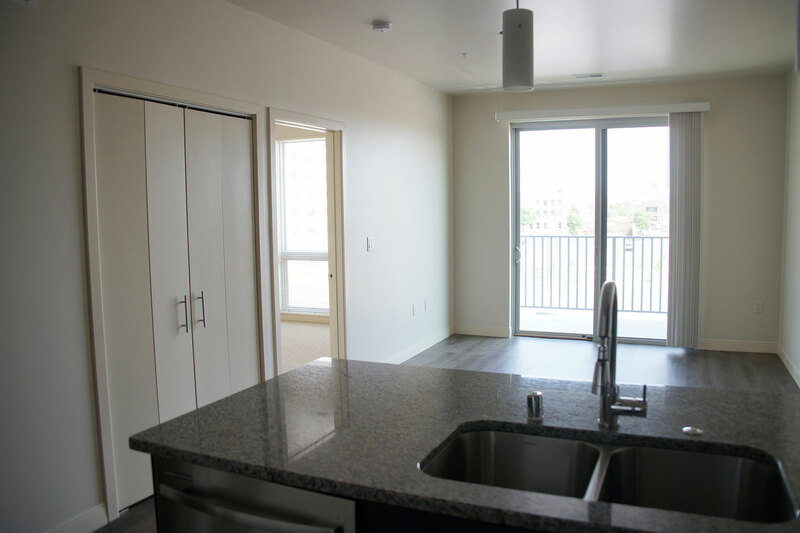 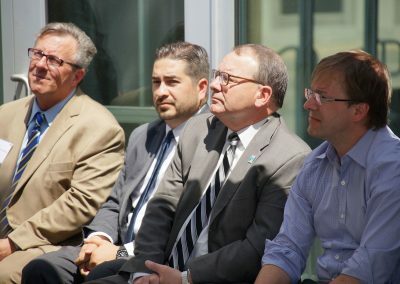 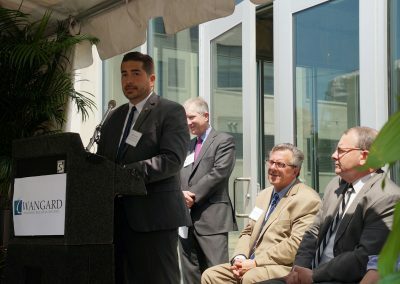 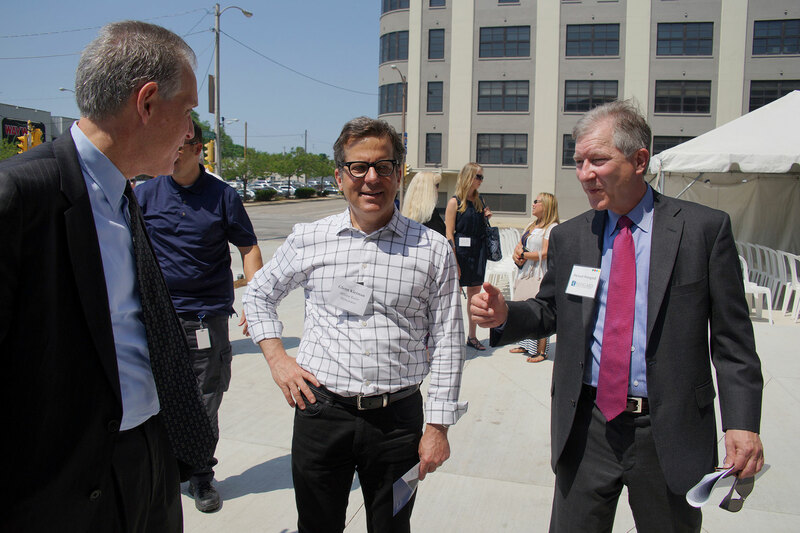 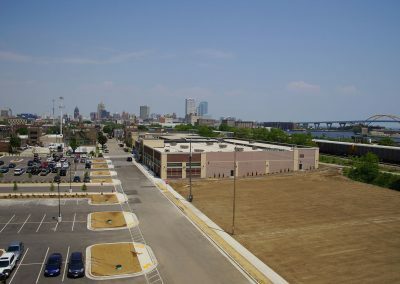 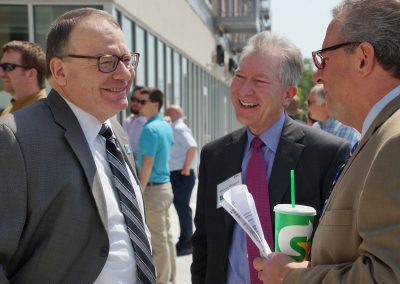 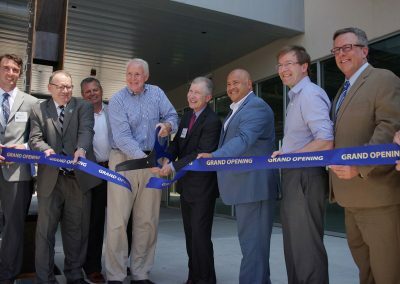 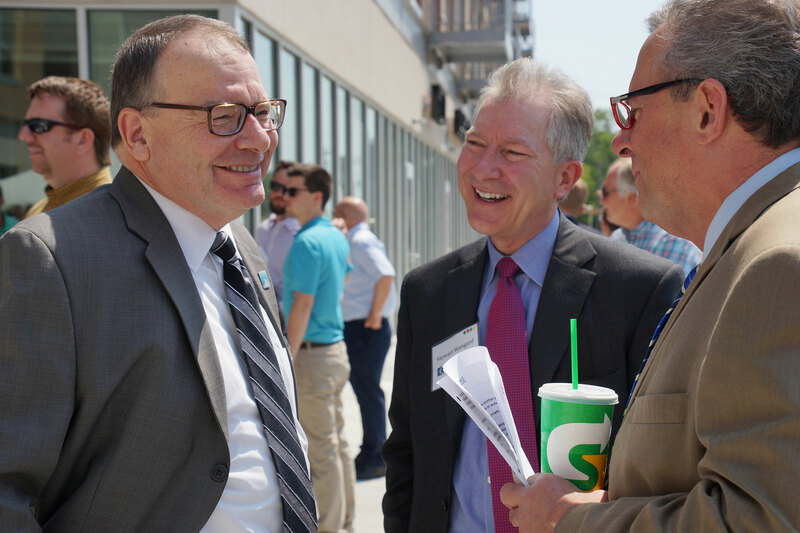 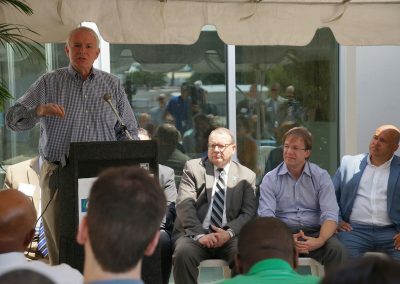 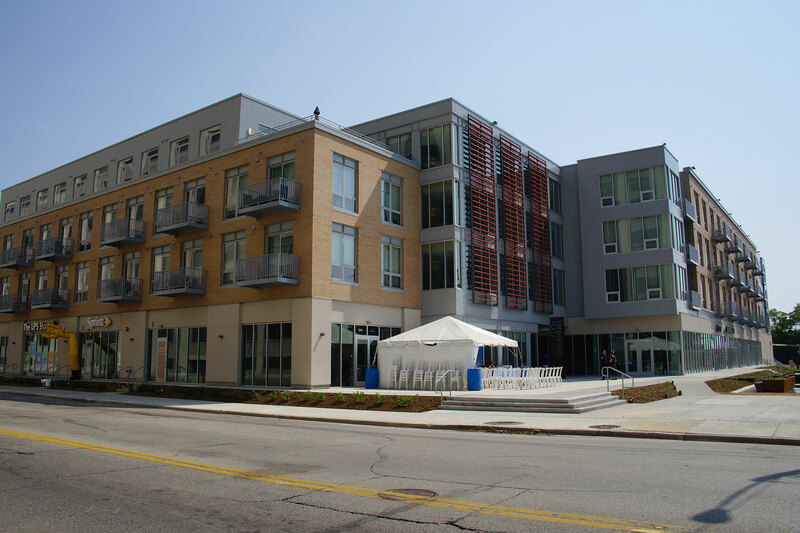 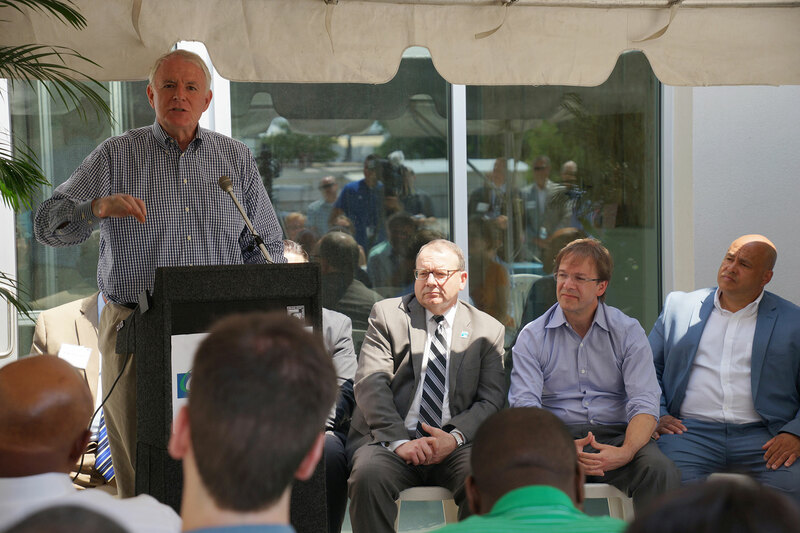 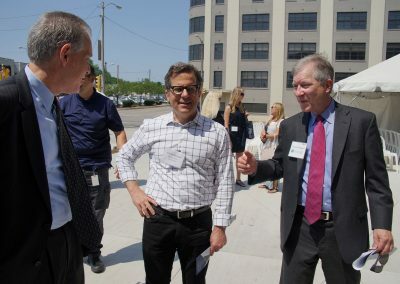 Walker’s Point welcomed the addition of almost one hundred apartments and a much needed grocery store at a ribbon-cutting celebration on June 12. 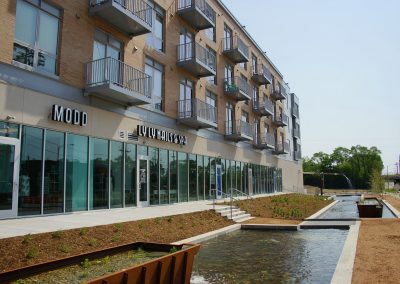 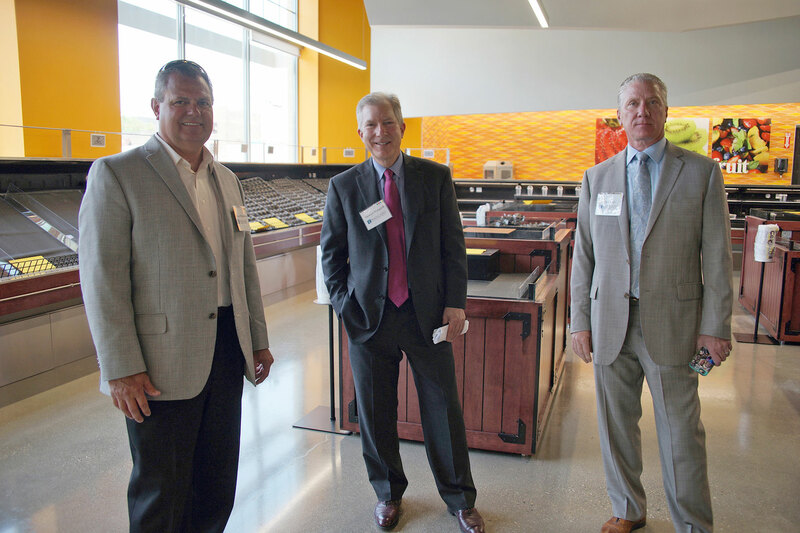 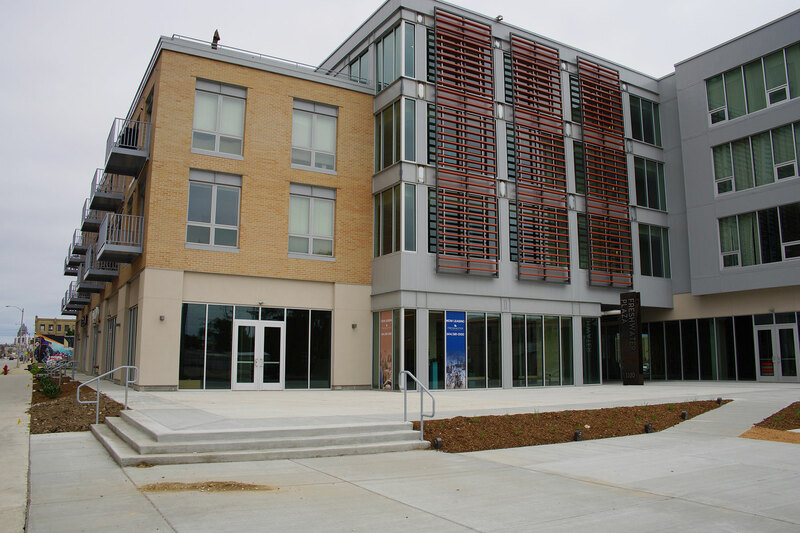 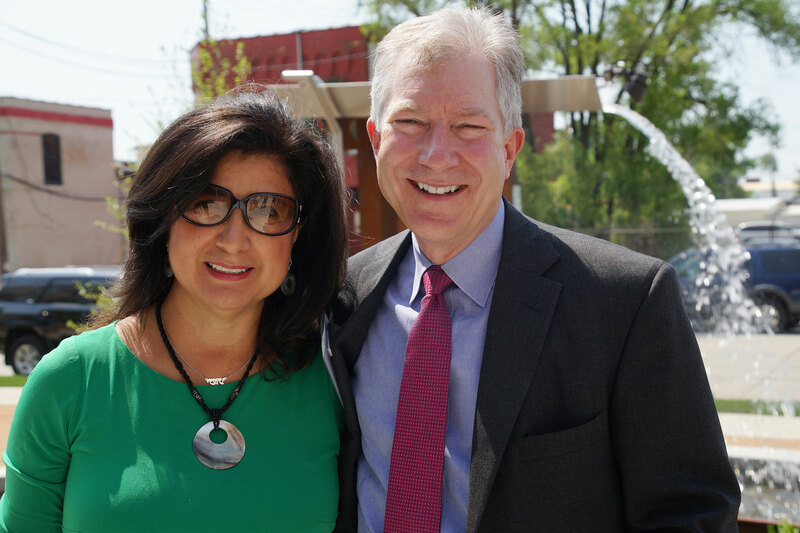 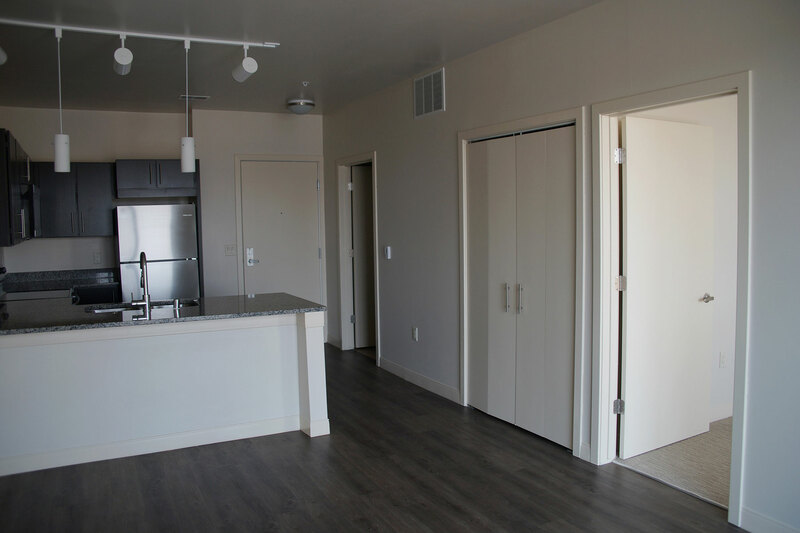 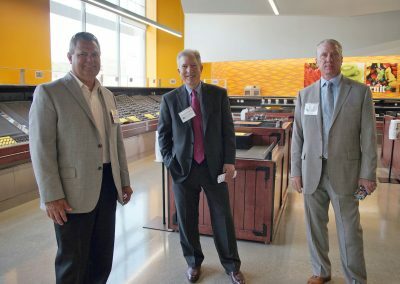 What had been a long abandoned industrial foundry in a food desert and area passed over for development, now offers area residents healthy food choices and new options for mixed residential living. 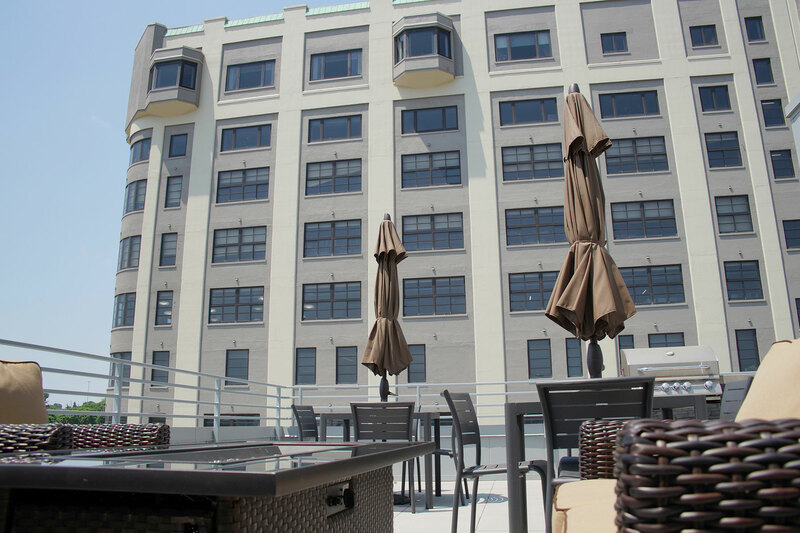 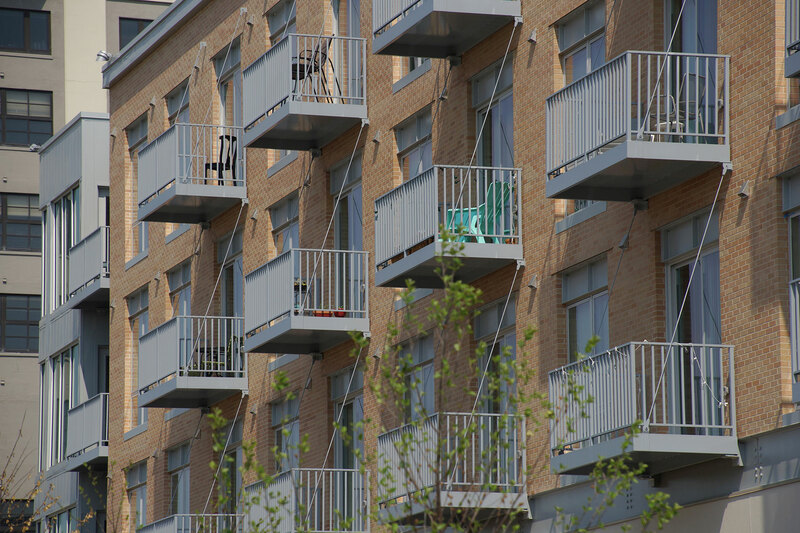 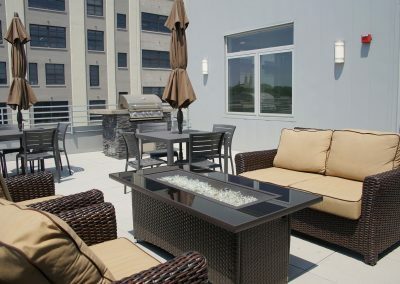 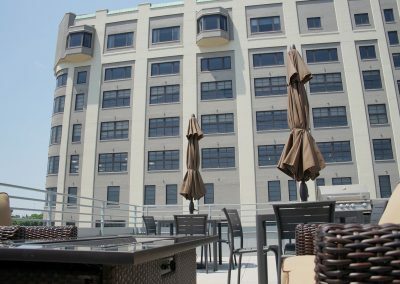 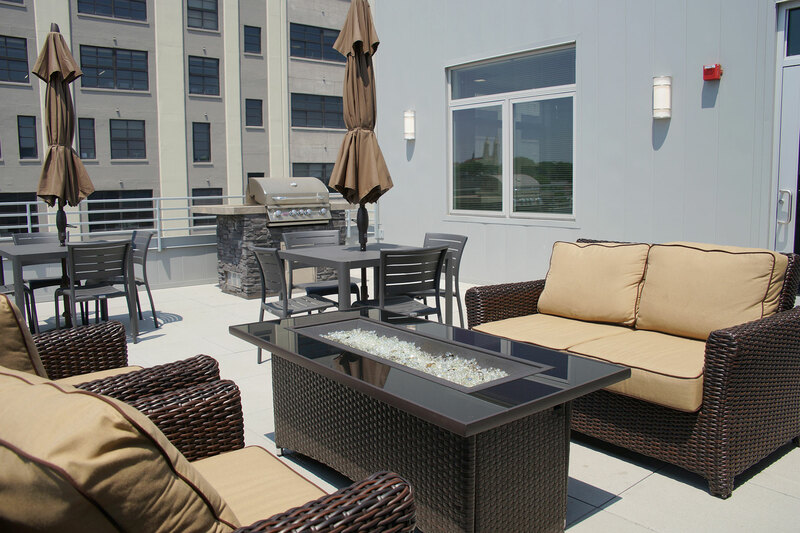 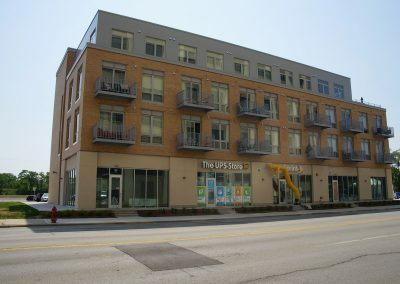 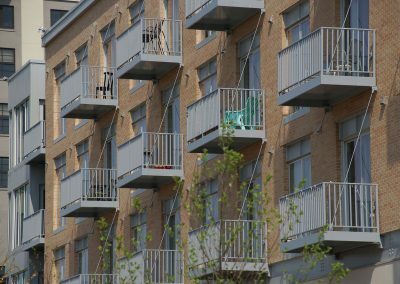 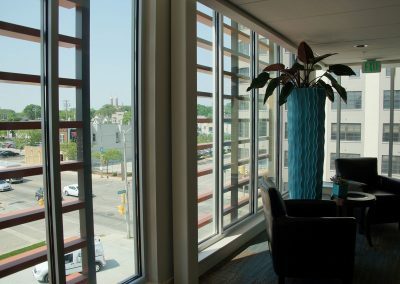 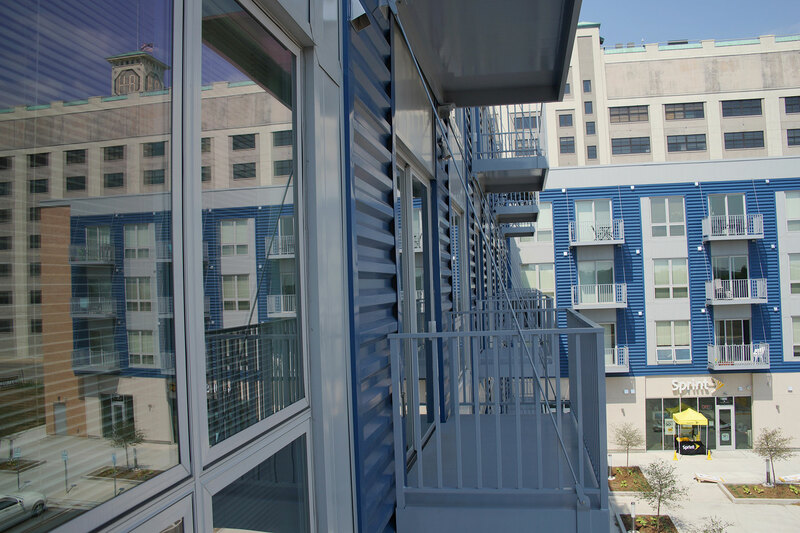 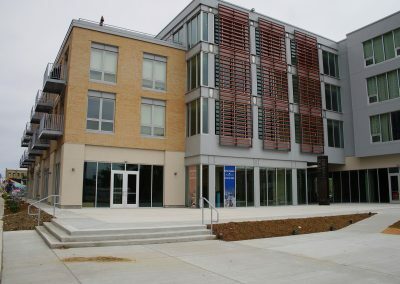 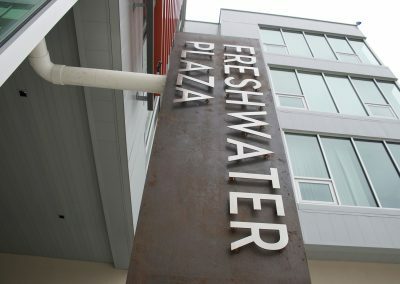 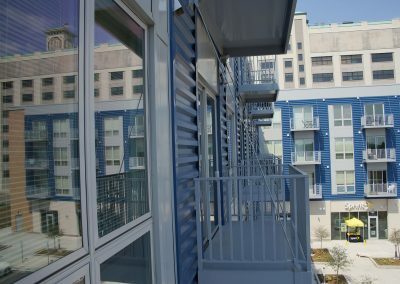 The four-story Freshwater Plaza building has retail space on its first floor, and full occupancy of its 98 apartment units. 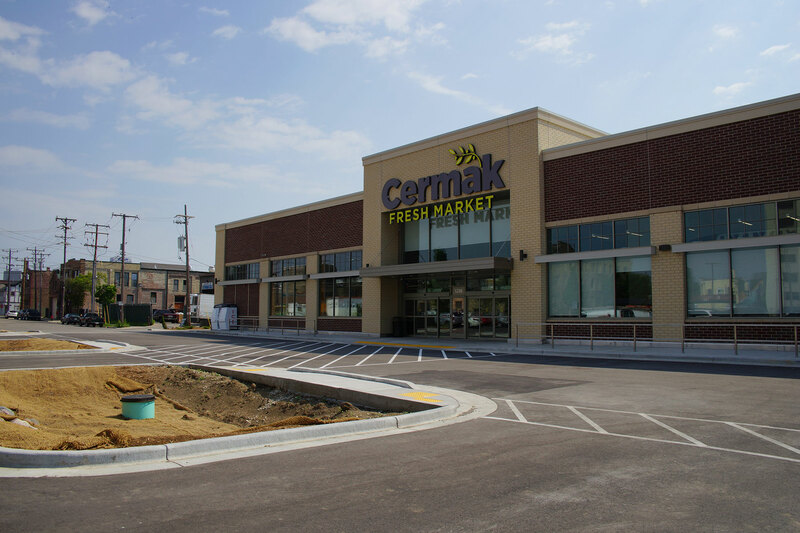 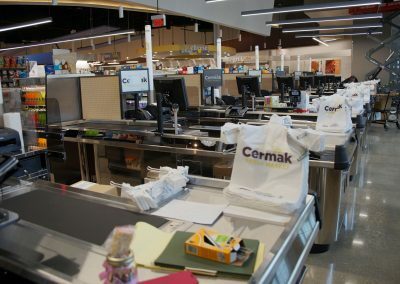 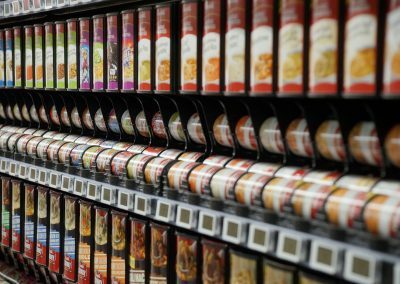 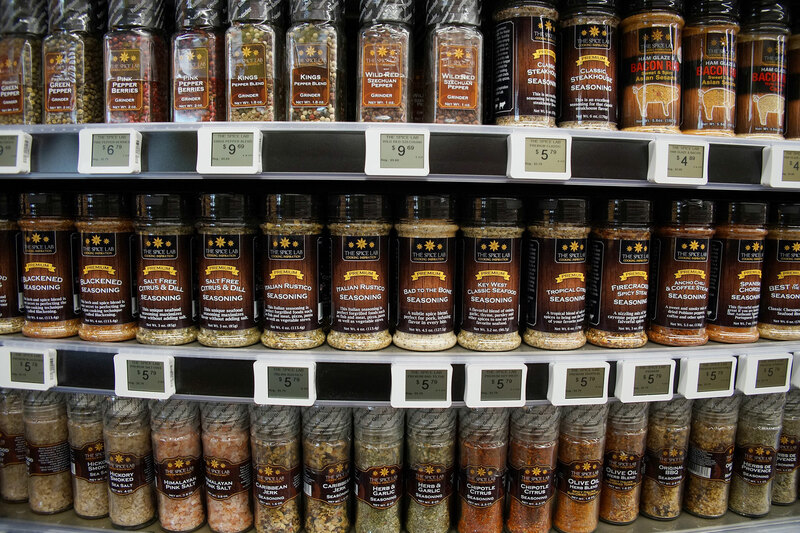 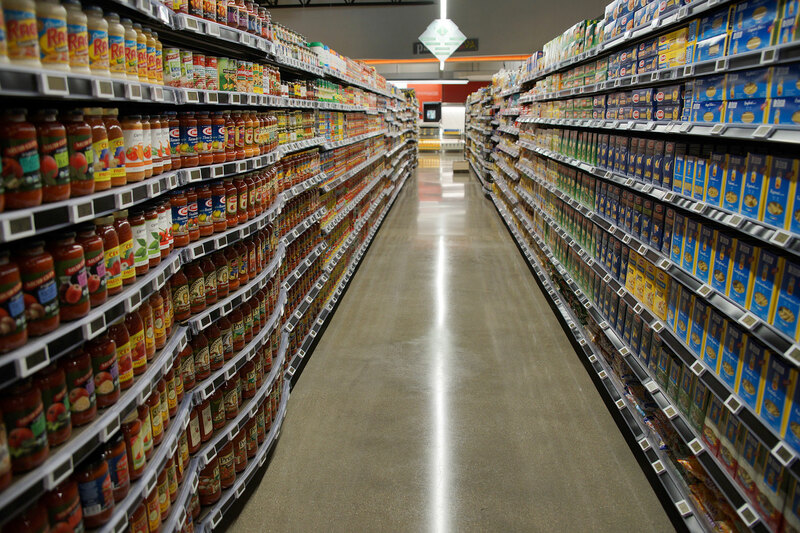 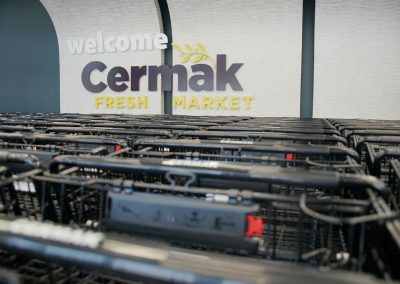 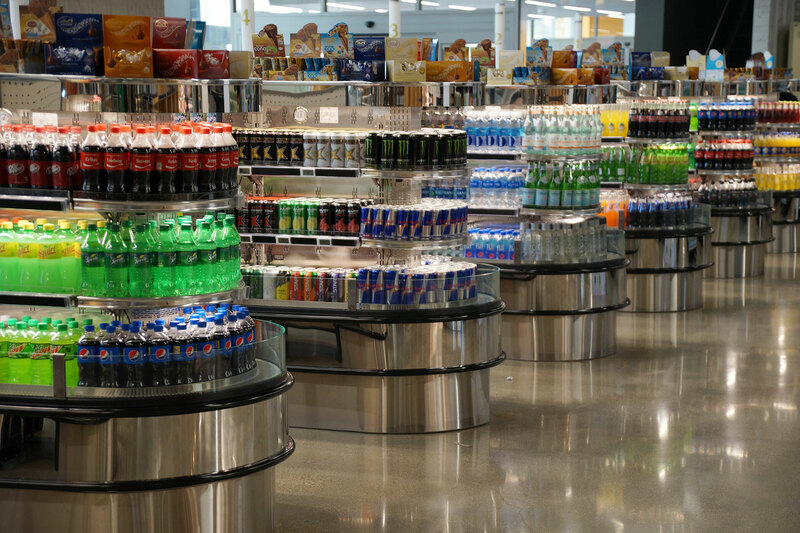 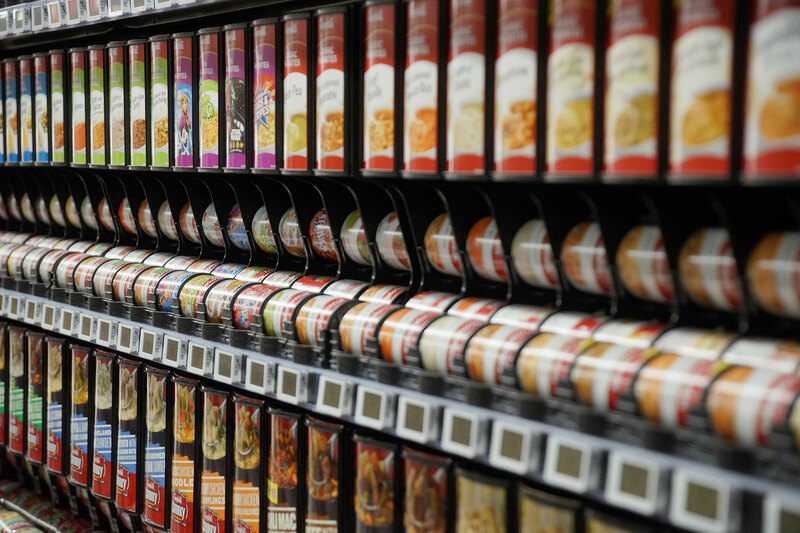 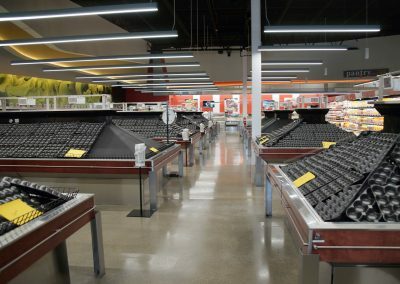 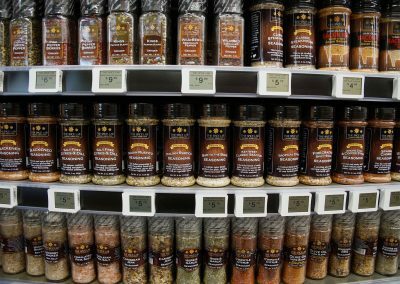 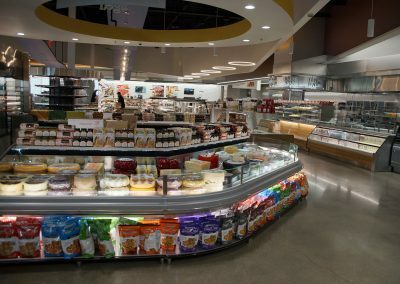 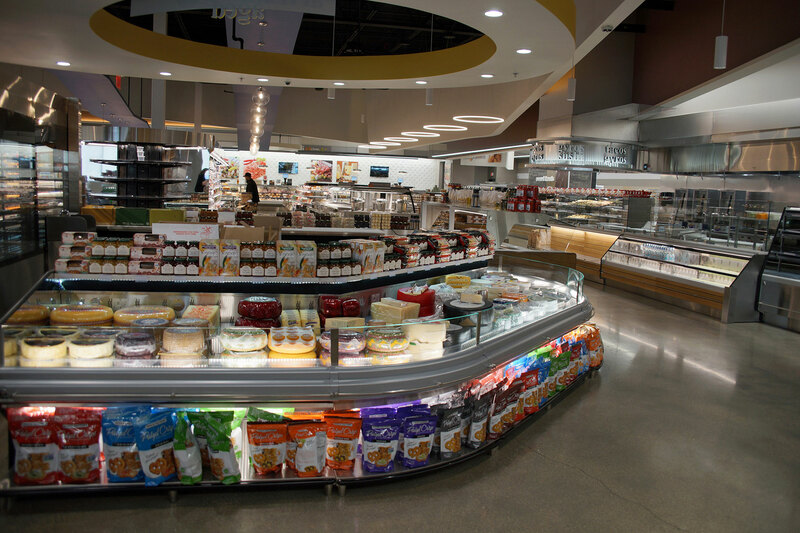 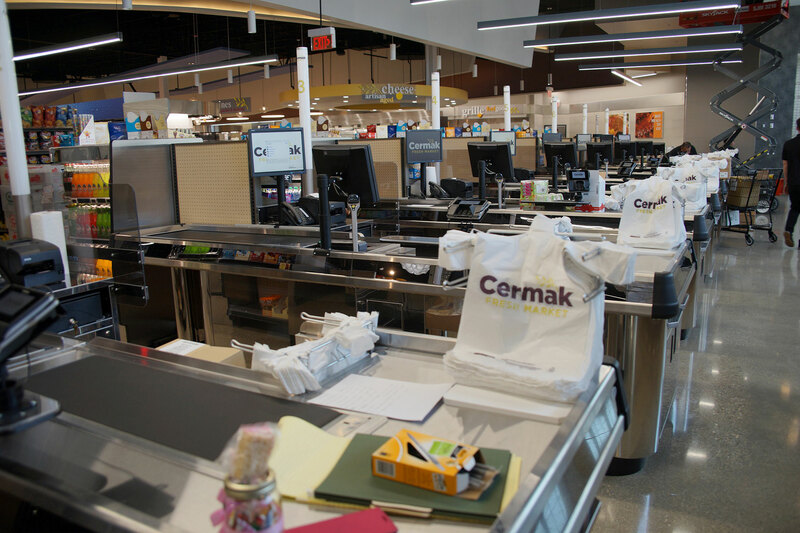 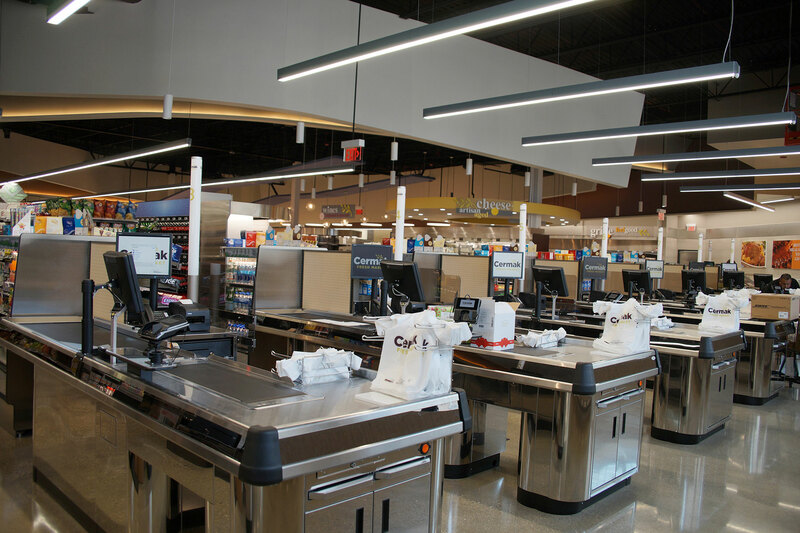 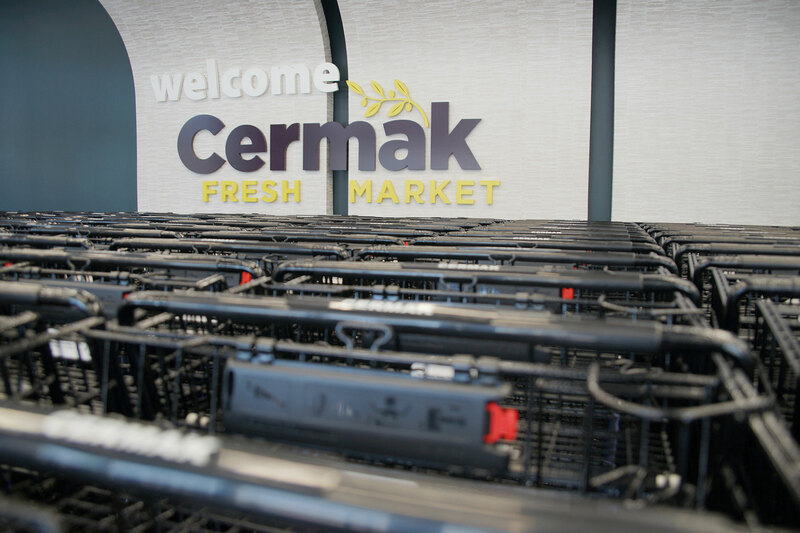 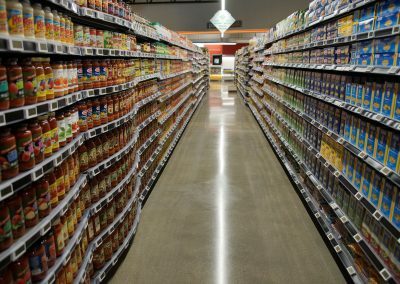 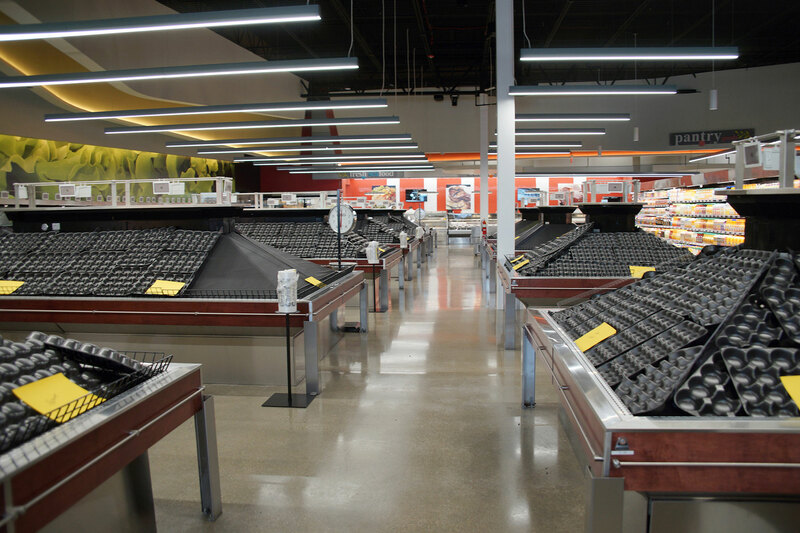 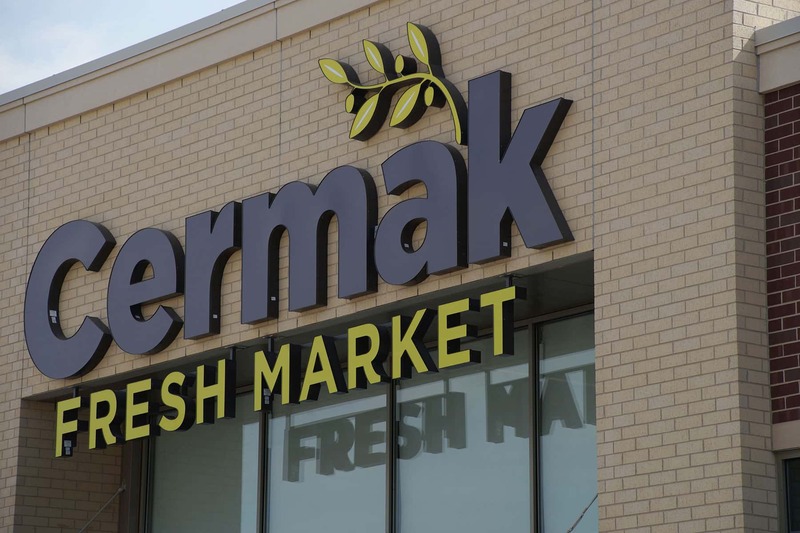 Cermak Fresh Market occupies 46,000 square feet within the complex space. 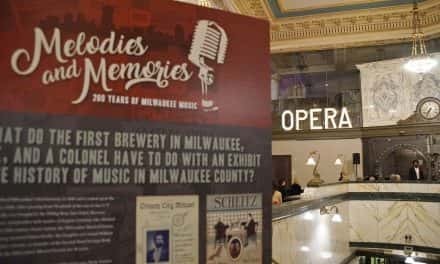 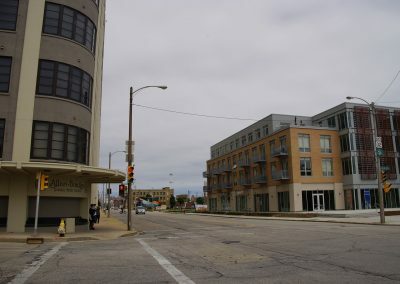 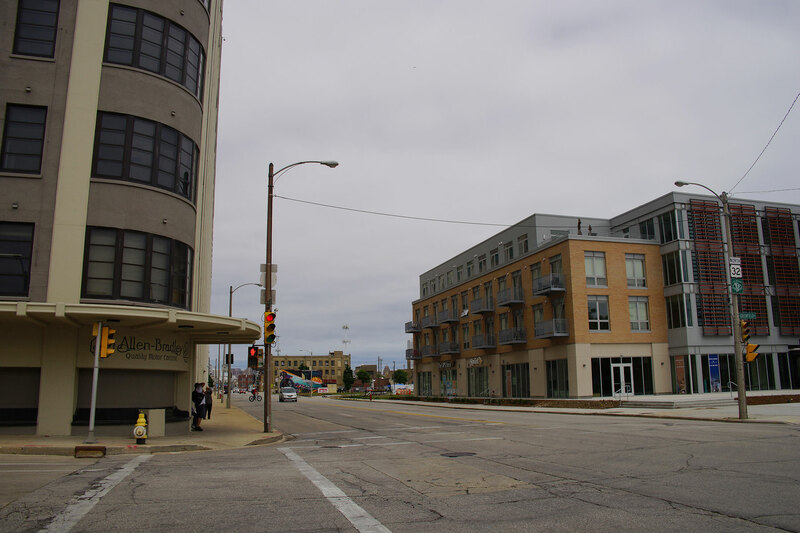 A once ignored part of Milwaukee is ignored no longer. 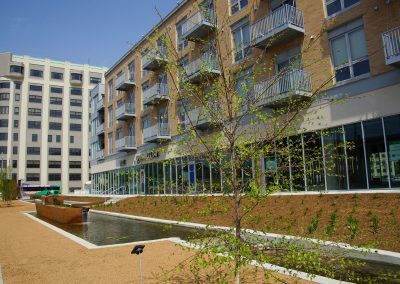 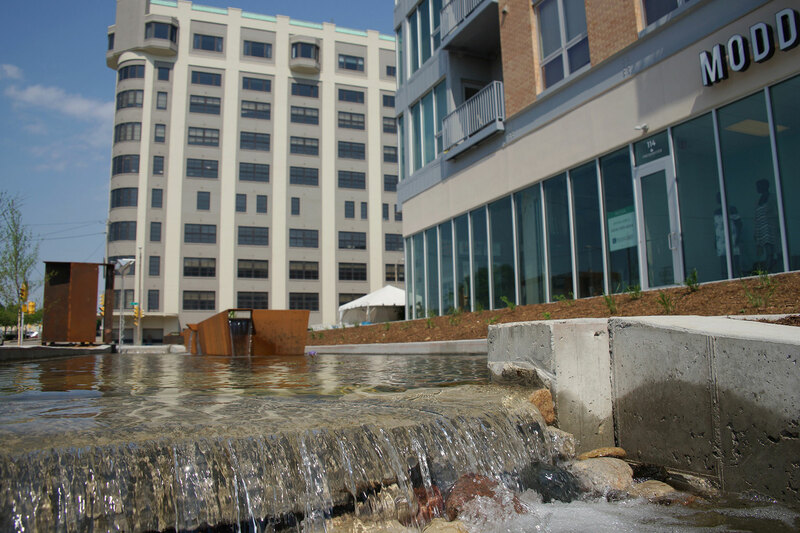 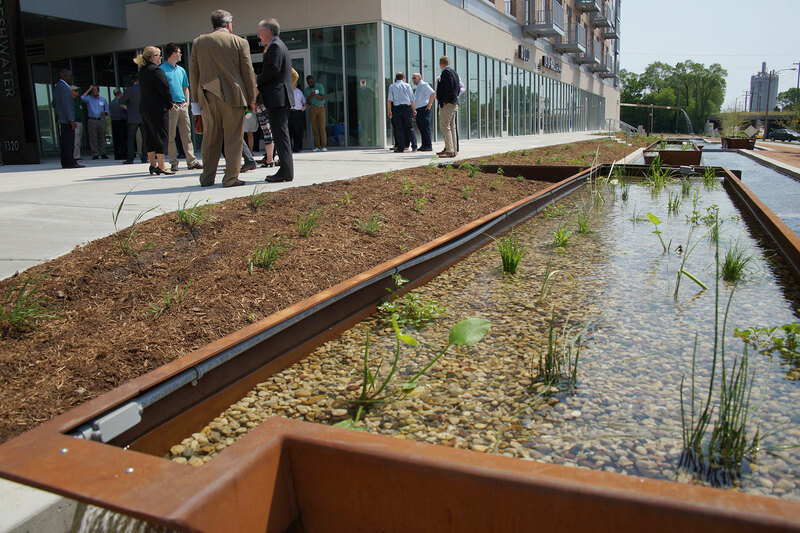 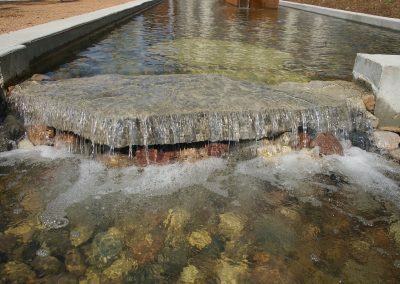 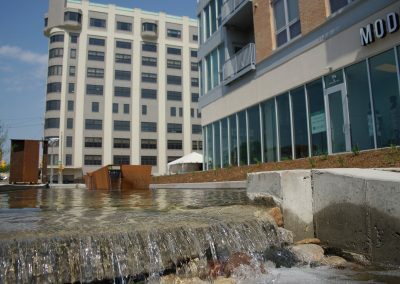 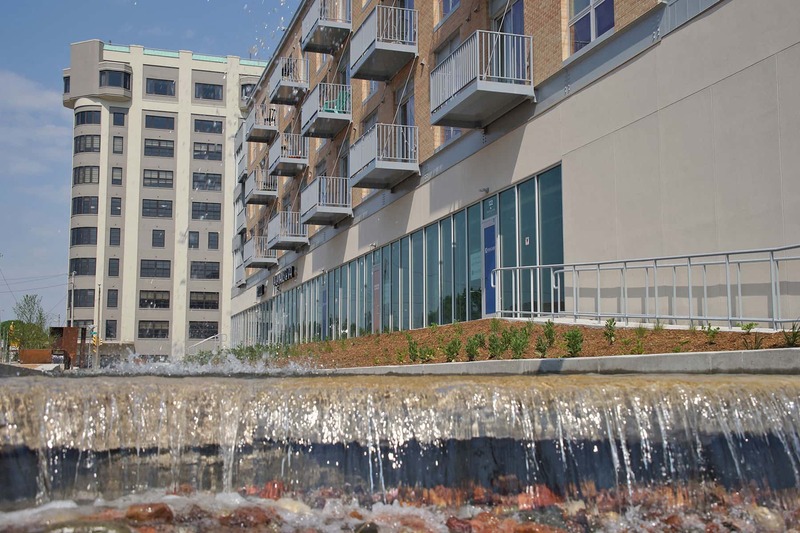 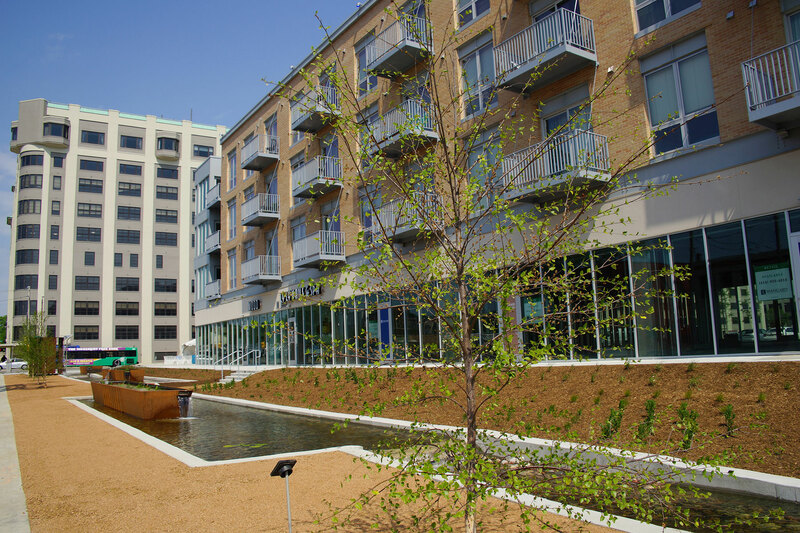 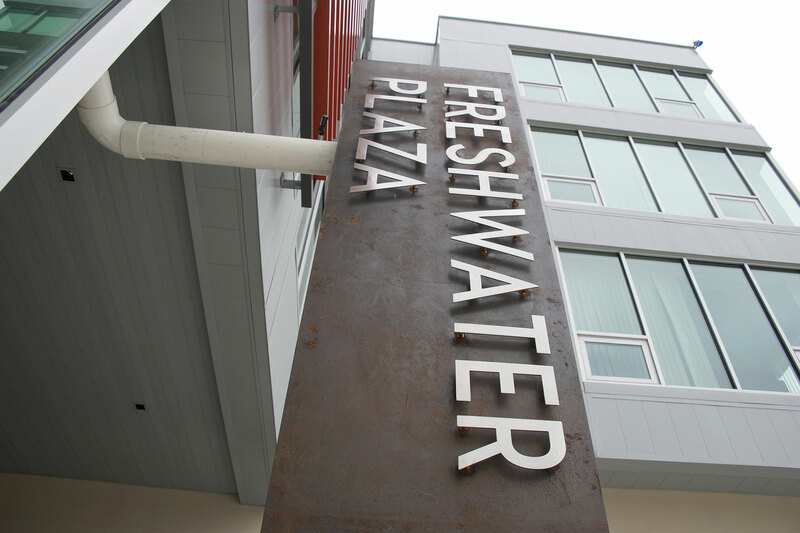 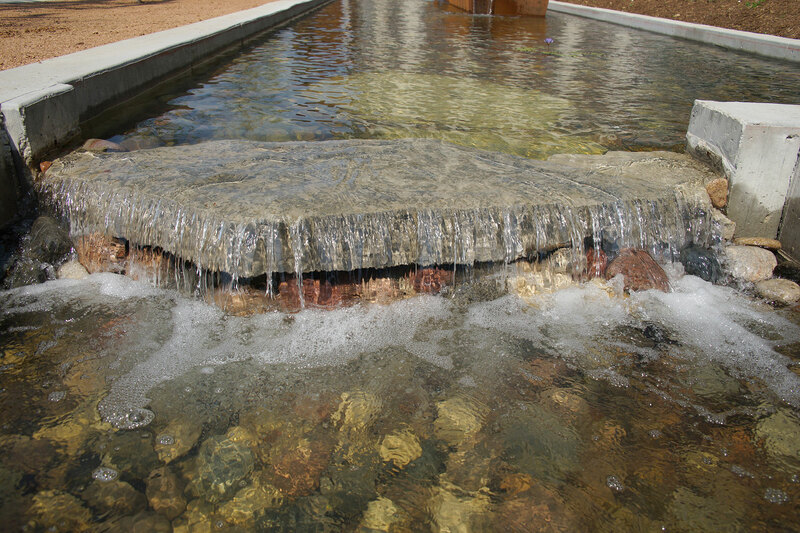 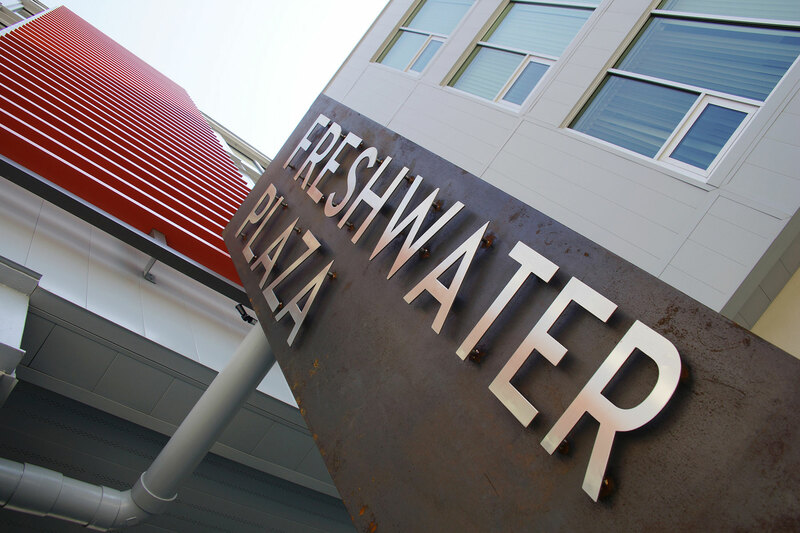 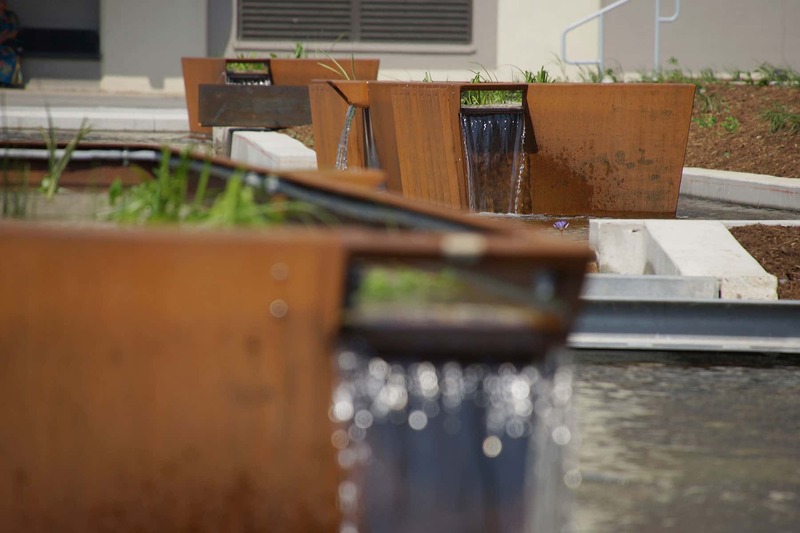 The Freshwater Plaza is located across from Rockwell International and down the street from UW-Milwaukee’s School of Freshwater Sciences. 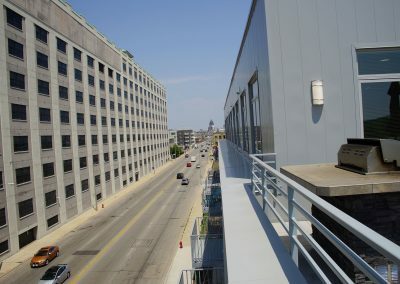 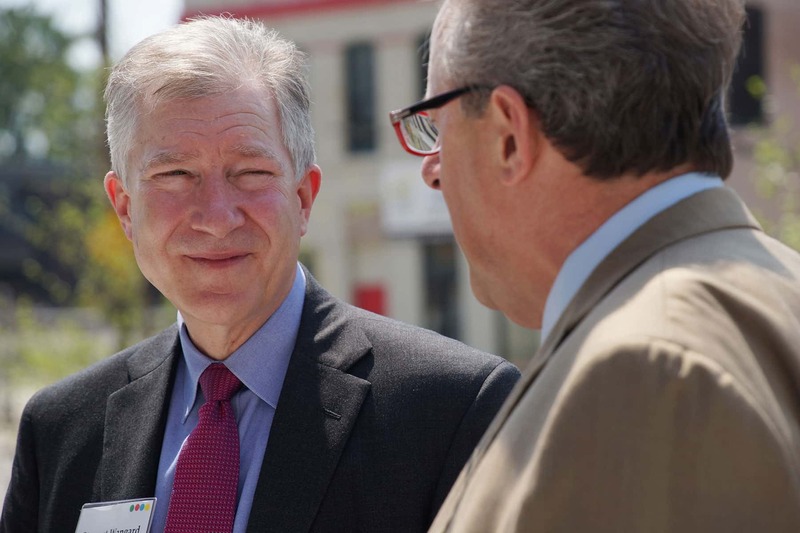 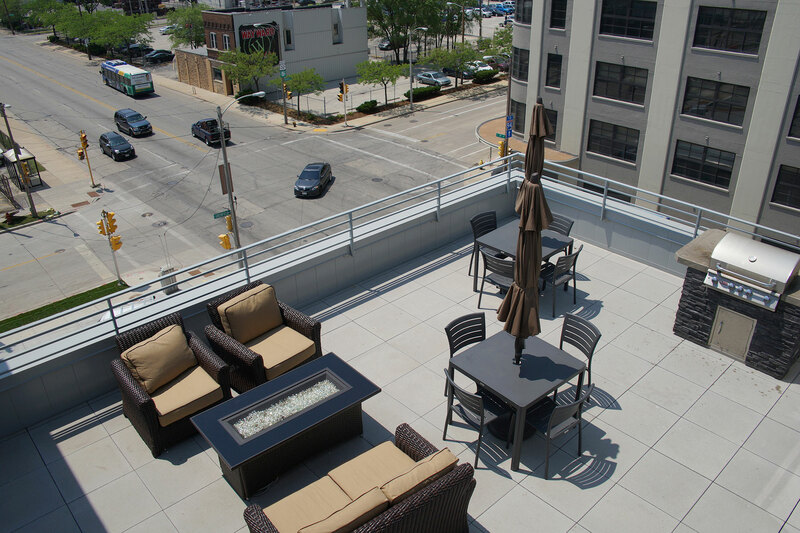 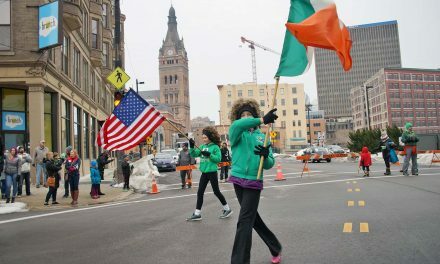 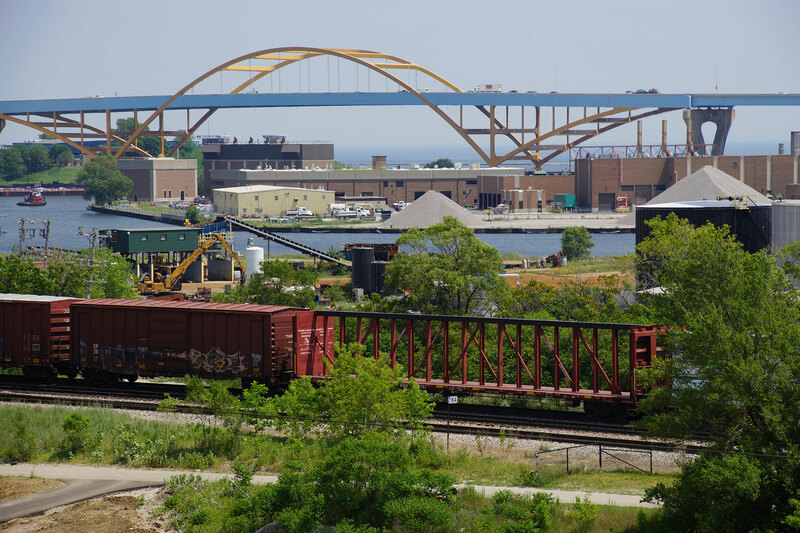 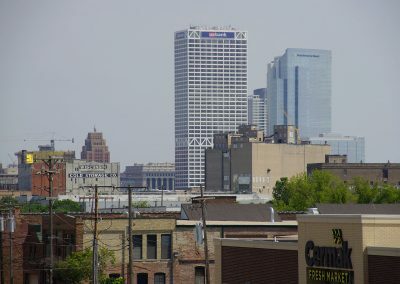 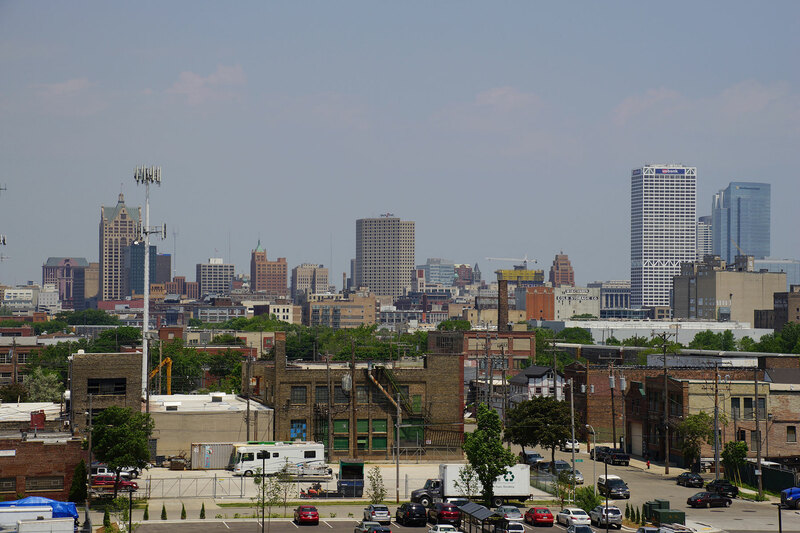 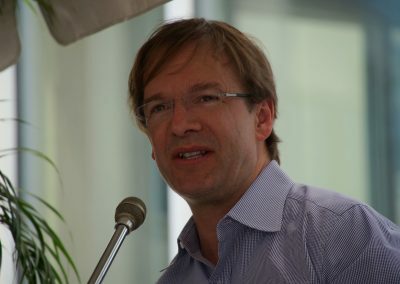 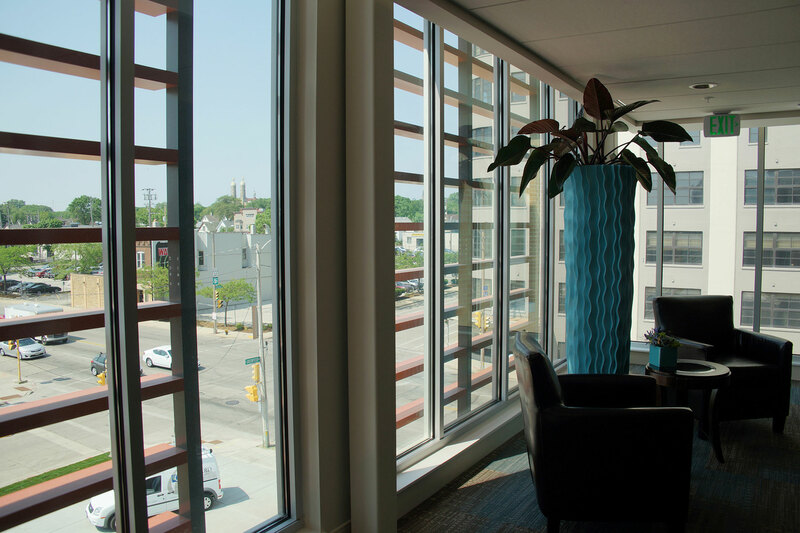 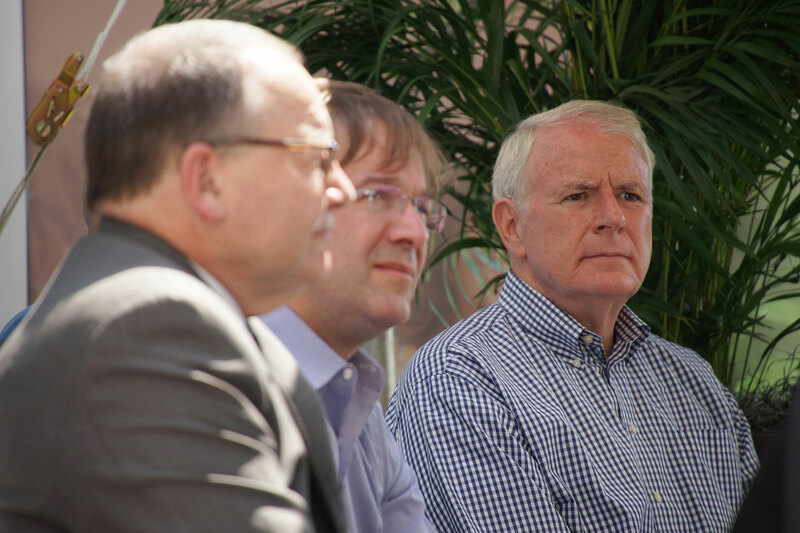 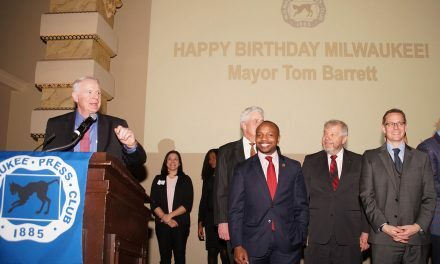 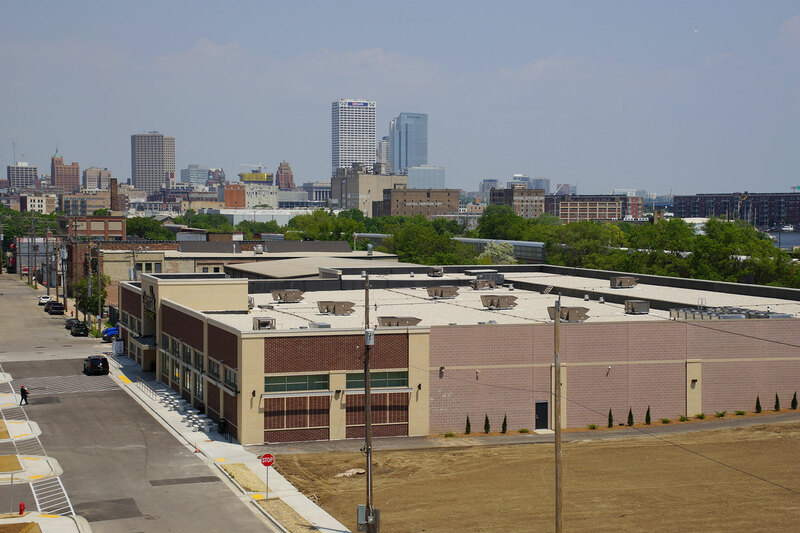 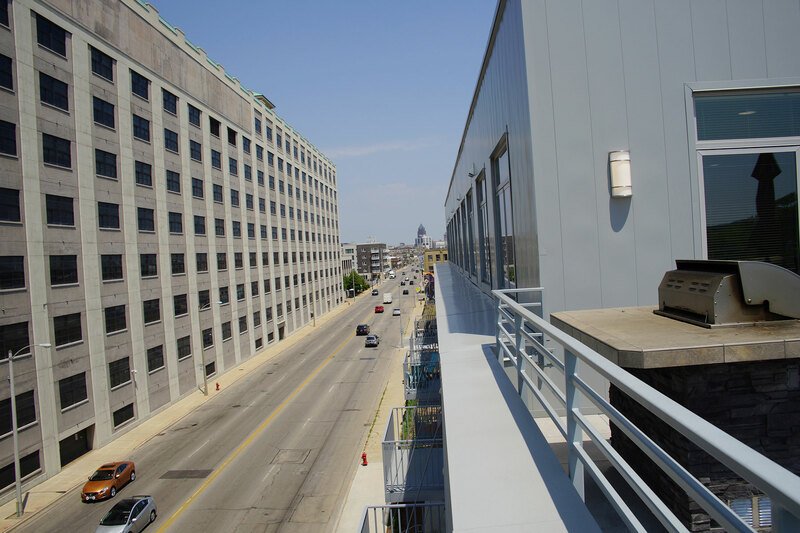 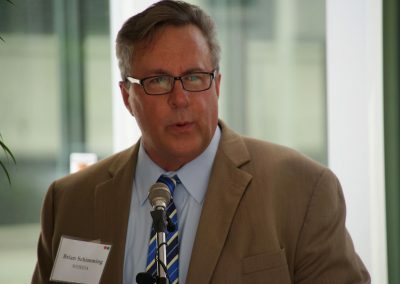 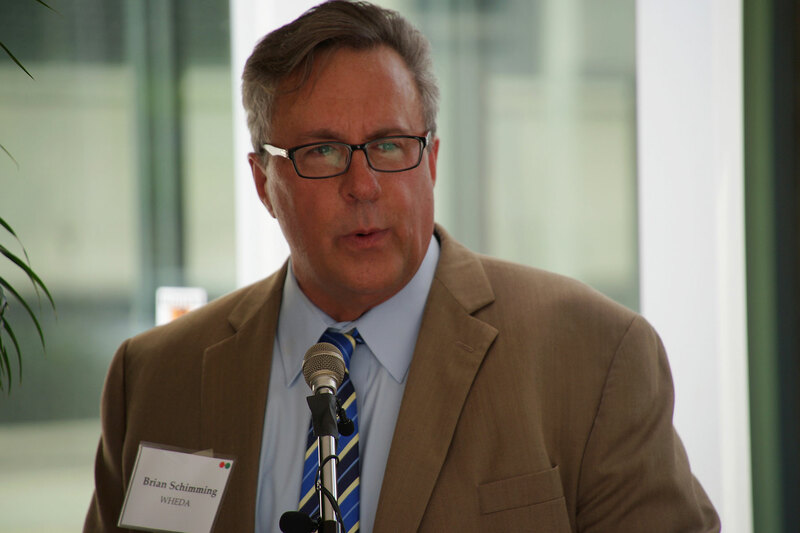 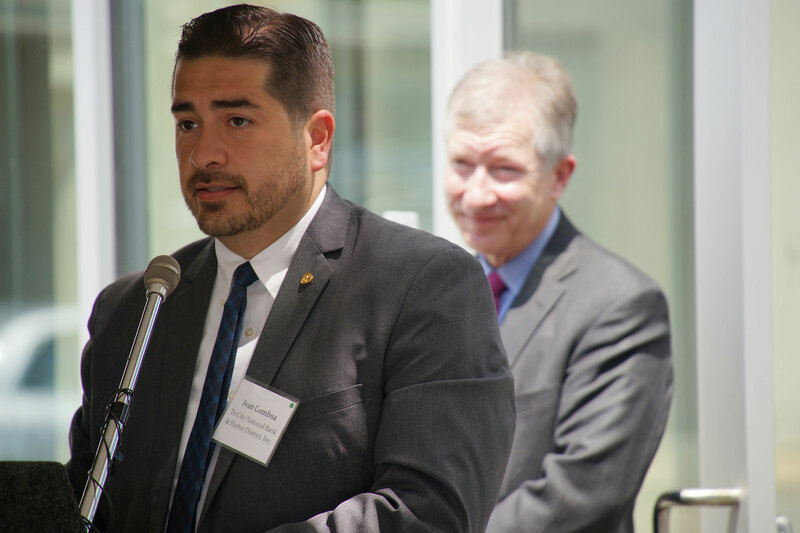 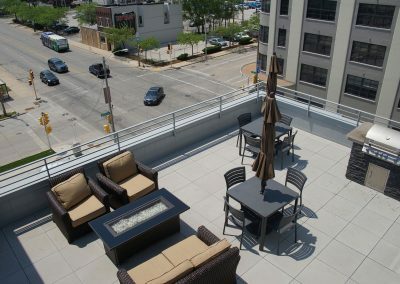 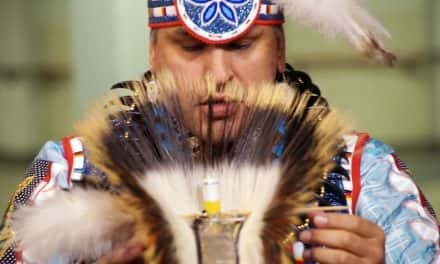 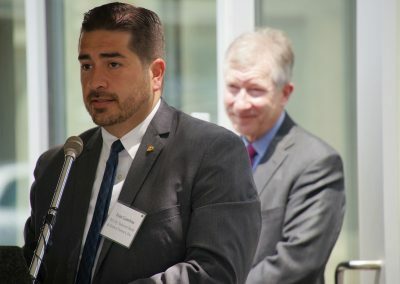 It is within an area designated by WHEDA (Wisconsin Housing and Economic Development Authority) for its Transform Milwaukee initiative. 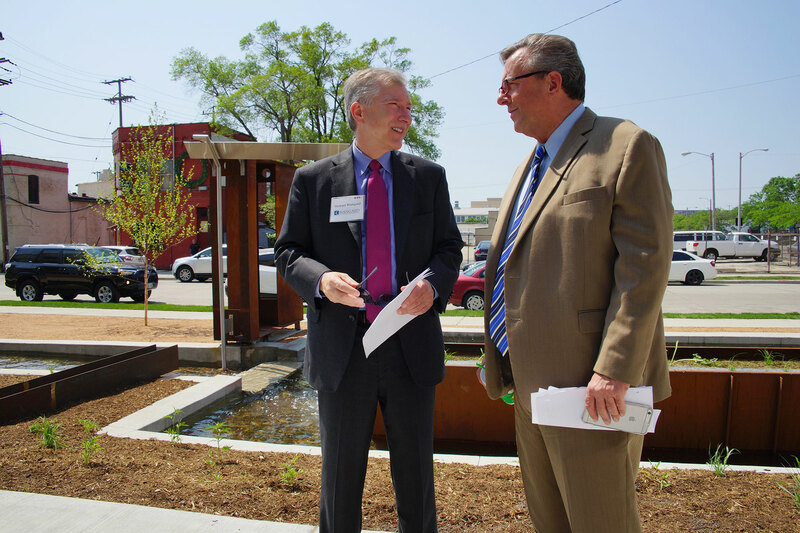 Since the plan was unveiled in 2012, there has been close to $500 million worth of private and public investments. 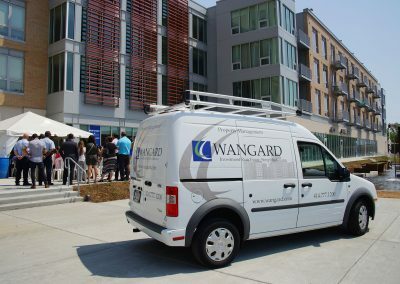 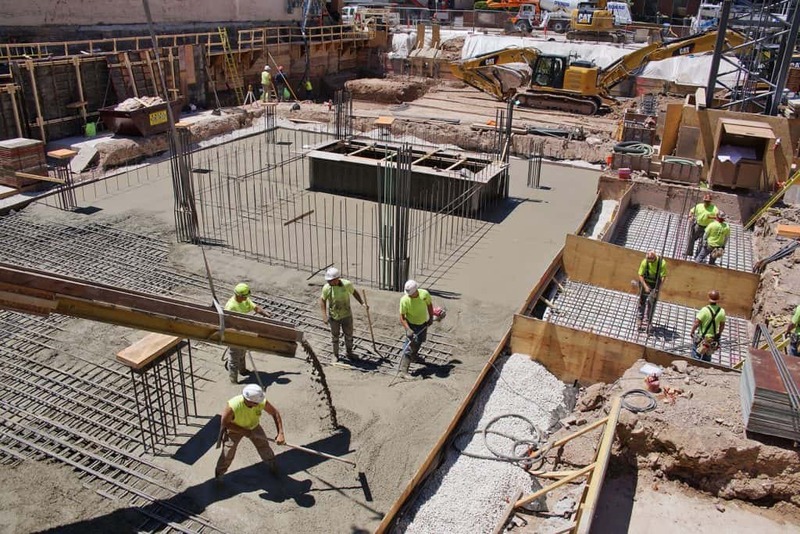 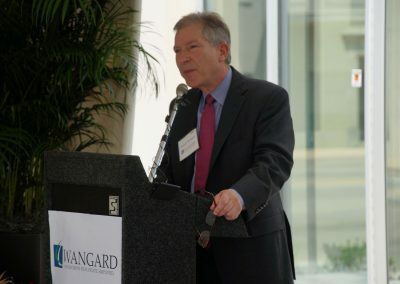 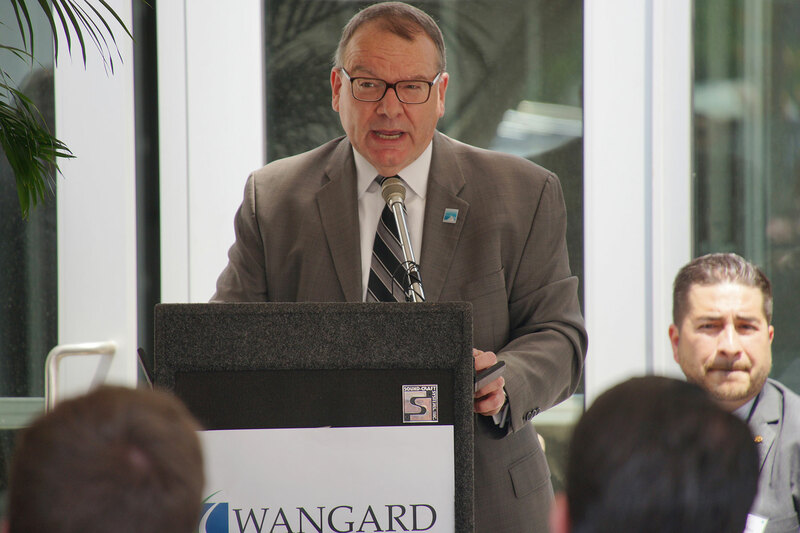 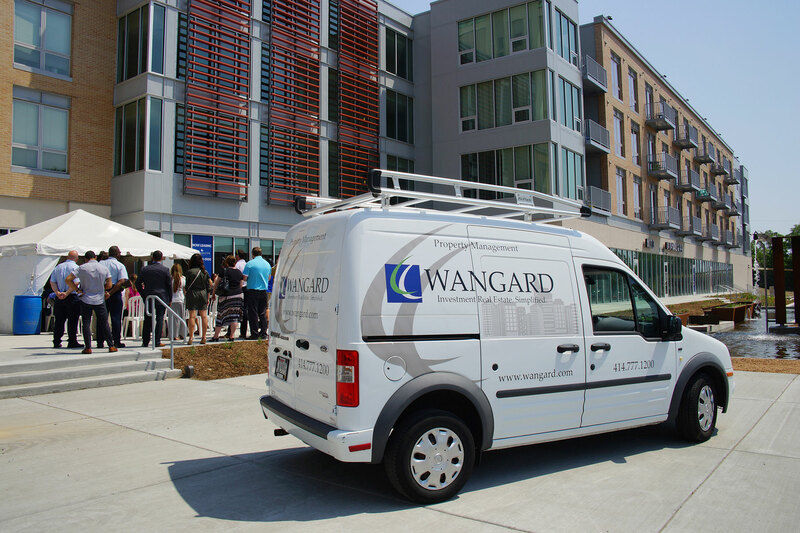 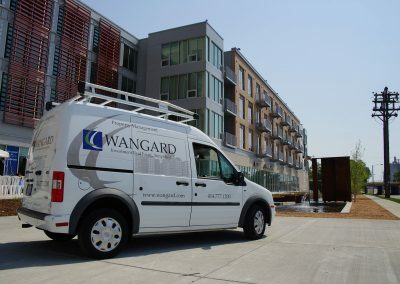 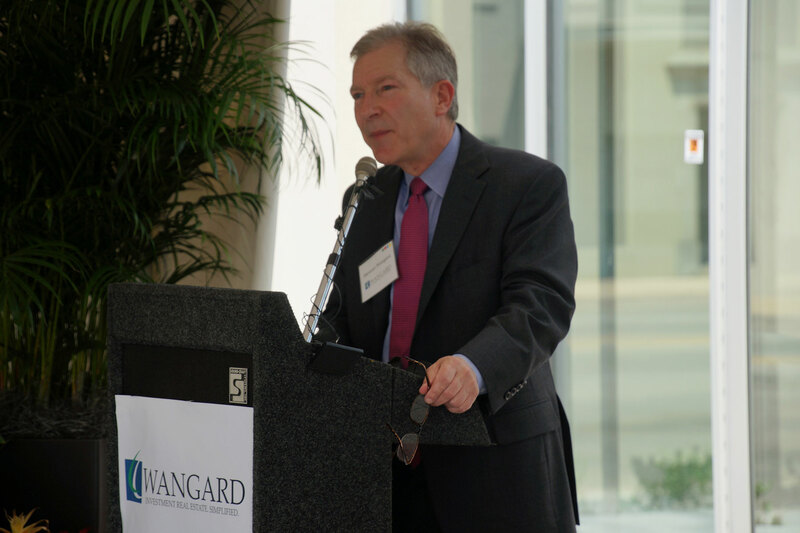 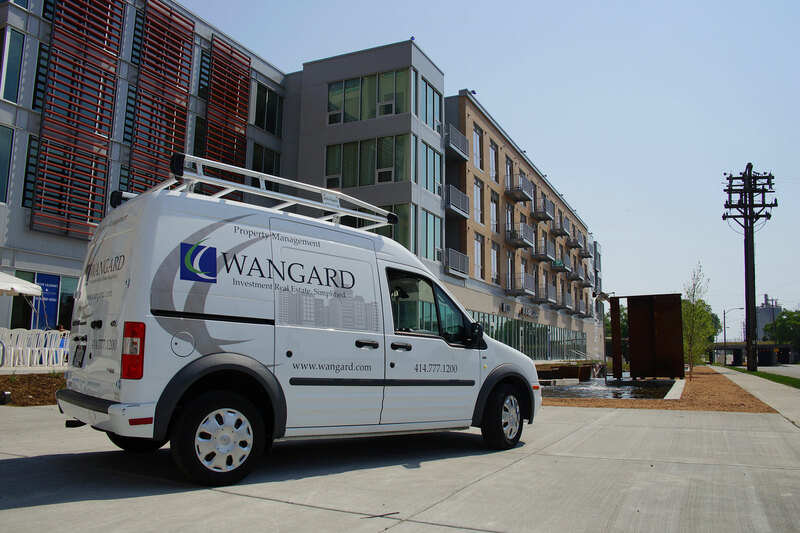 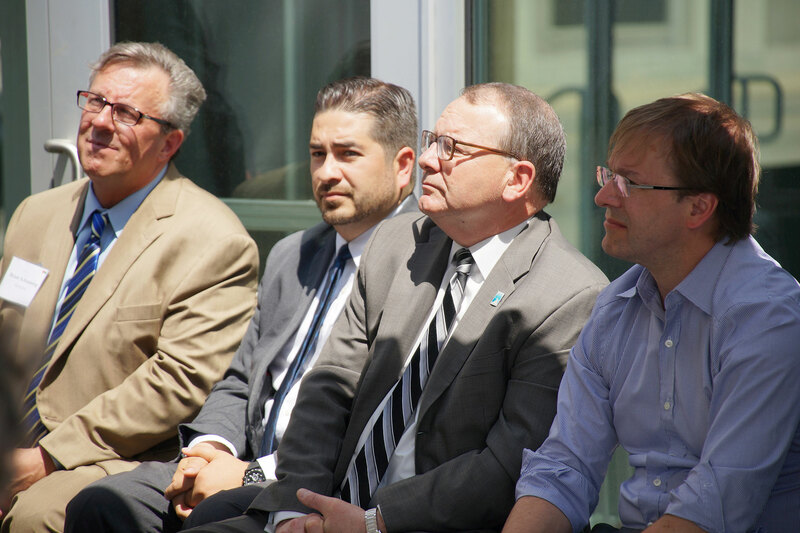 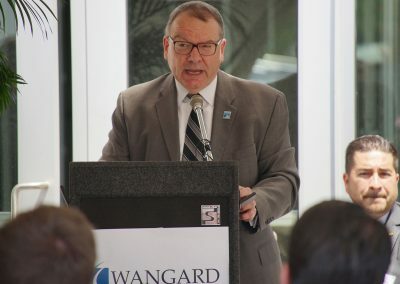 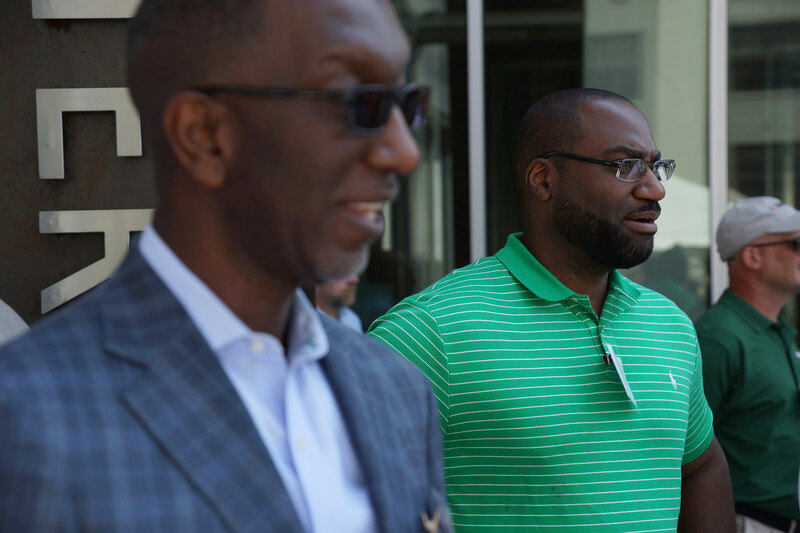 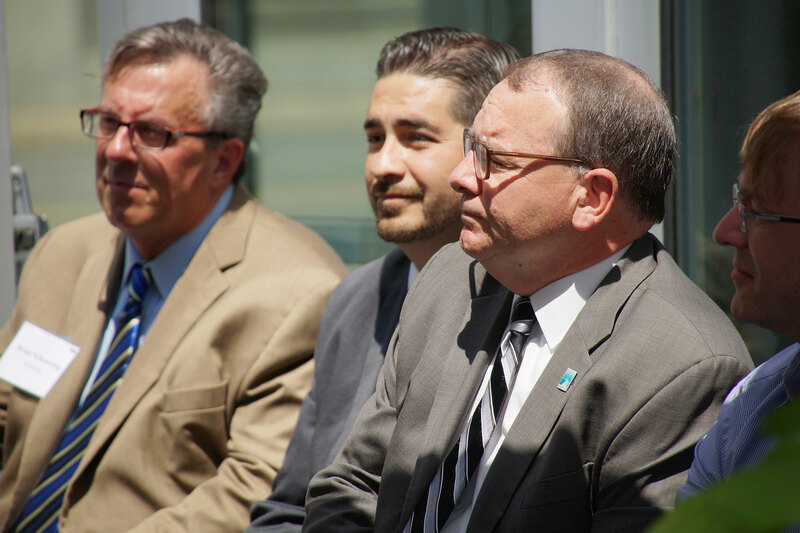 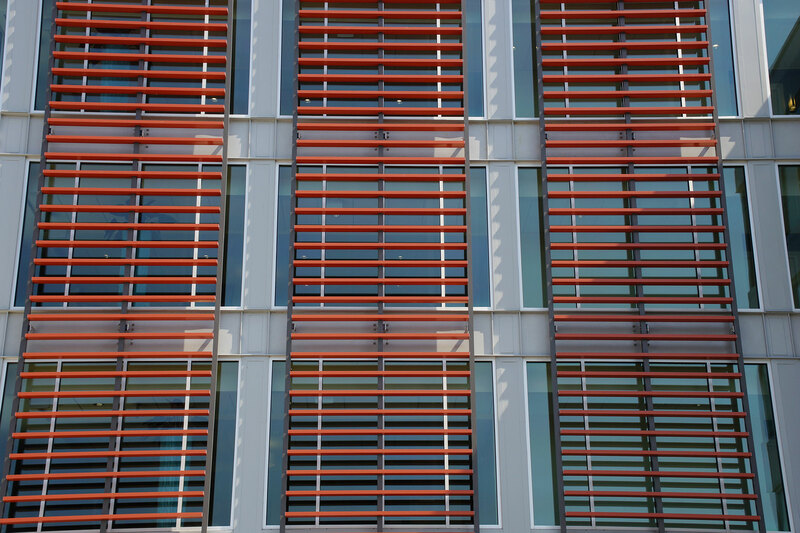 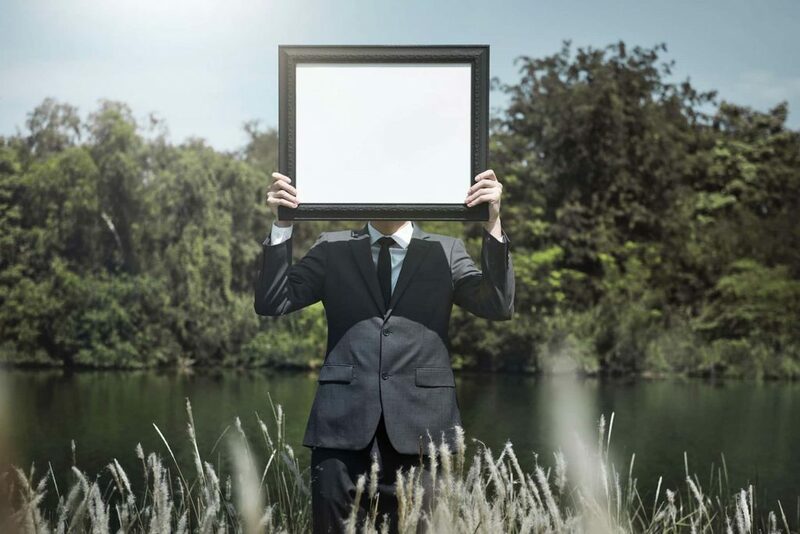 Wangard Partners collaborated with several government and business entities to make the project happen, in what was a very lengthy and complicated process. 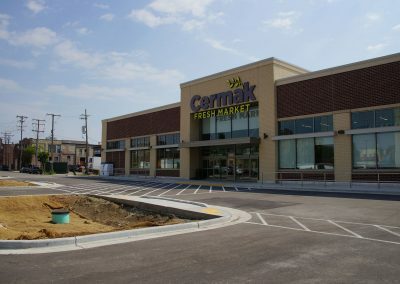 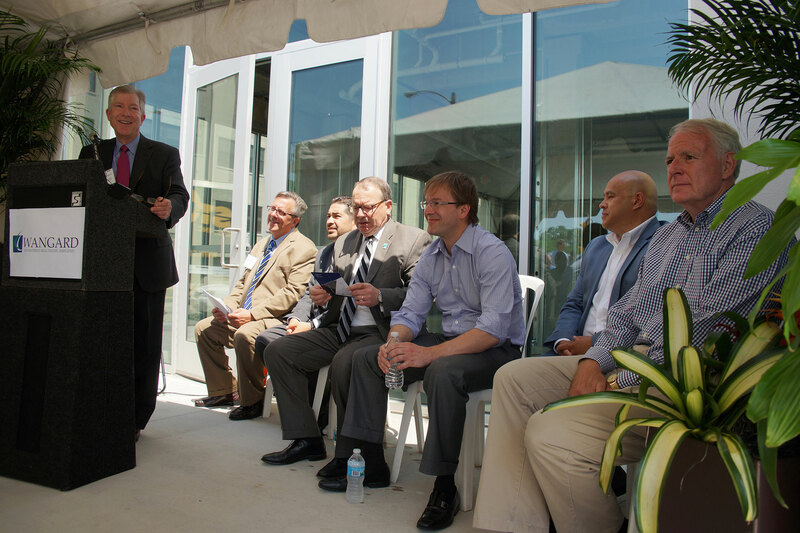 These images feature views of the plaza exteriors, interior, a preview of the Cermak Fresh Market prior to its opening day, and the kick-off celebration for the apartment and retail space, attended by Stewart Wangard, Brian Schimming, Mayor Tom Barrett, County Executive Chris Abele, Alderman Jose Perez, Commissioner Rocky Marcoux, and Ivan Gamboa.